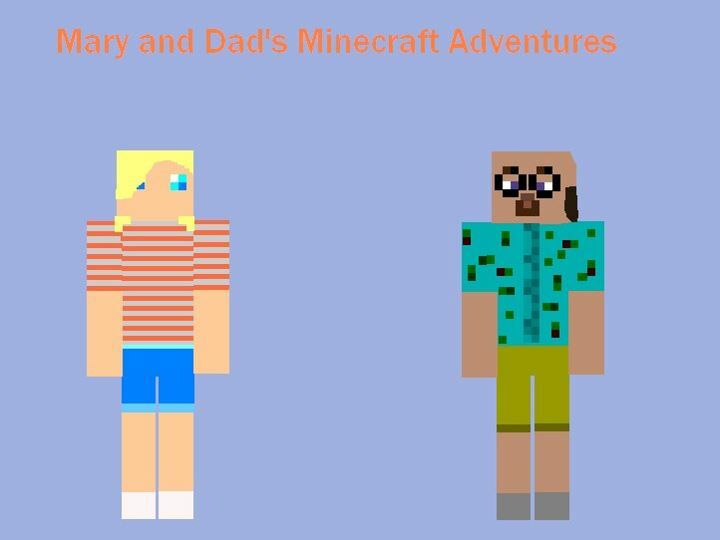 Mary and Dad's Minecraft Adventures is a "Minecraft dramatization" that tells the story of two travelers stranded on an island. After washing up on a reef and getting to shore, Mary and Dad must struggle with the elements, their future and ultimately, the dark secret that led them to the island in the first place. The youtube season 1 playlist is here. The youtube season 2 playlist is here. The youtube season 3 playlist is here. The youtube season 4 playlist is here. The youtube season 5 playlist is here. The youtube season 6 playlist is here. The youtube season 7 playlist is here. The youtube season 8 playlist is here. The youtube season 9 playlist is here. The youtube season 10 playlist is here. The youtube season 11 playlist is here. The youtube season 12 playlist is here. MADMA Science Theatre 9001 Season 00 playlist is here. The "MADMA" short film playlist is here. Dad - (also known as Dave or Doc in the graphic novel prequel) Dad is a scientist working for Redstone Weapons Laboratory. After obtaining a Ph.D. in Science and World Languages he began his most impressive work yet, most notably as project lead for exotic weapon systems such as the highly secretive "Evil Genus Mk 4" and "Death Cube 300" programs. Jean Splice - Jean Splice is a "whiz pig" of sorts. Created by Evil Genus in season two, Splice begins life as a typical minion. But by the end of season three she learns the truth about Mary and Dad, which is far different than the propaganda fed to her by her creator. 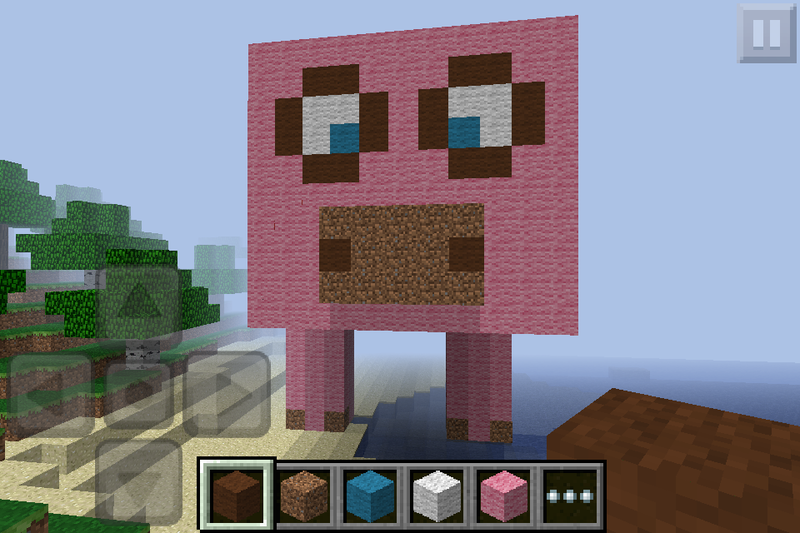 Jean is depicted as a normal pig with a face that somehow resembles Dad. In the season four trailer, which bridges the gap between season 3 and 4, Splice realizes that her creation involved the fusing of both pig and "Dad" DNA. 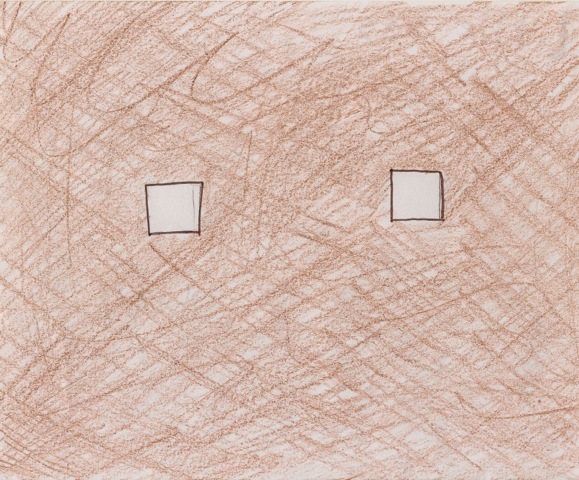 Little Sasquatch - Lil'Sas--or his "point of view" more precisely--first appears in episode 27. 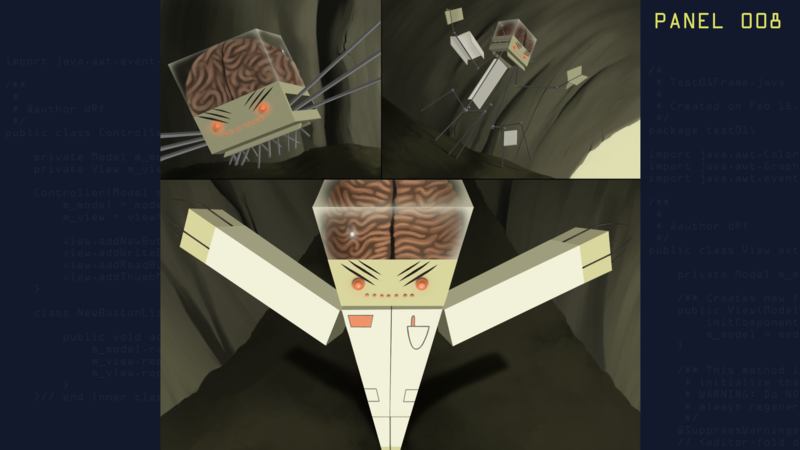 A heretofore unknown being takes EG and Splice by surprise and moves from the central portion of the map, through the mysterious bedrock wall and out into the "dirt coffin" where Mary and Dad have been in a long-lasting hallucination that fills the gap between season two and season three. As it happens, Lil Sas has been watching them for some time and unlike both of them, Evil Genus' mind probes have no effect on him. This ability to thwart Evil Genus allows Sasquatch to travel unhindered and unafraid. Once they are delivered back to the Mothership, Lil'Sas fades into the background again, watching them closely. They awake unware of how they got from the coffin back to the Mothership. In episode 28, entitled "Somebody's Watchin' Me", Dad falls from a tree and Lil'Sas reveals himself to Mary (offscreen, while Dad lay unconscious) and subsequently rebuilds Mary's garden. Later in that same episode, Mary and Dad are seen discussing the new garden. Little does Dad know that Mary built the garden with Sasquatch's help. After the credits roll, you see the same conversation through Lil'Sas' eyes, as he looks down from above in a nearby cave. Lil'Sas is first seen on camera in episode 32. Mary is seen next to him and tells a surprised and worried Dad to put his sword down, that "He's just a baby!" She then reveals that she has been aware of him for some time (since Dad fell from the tree in epi 28) but did not tell Dad, for fear of his (negative) reaction. We learn from Mary that Lil'Sas, who is a baby and can not speak, has told her (through sand drawings) that "evil people in helicopters" put him in a cage, forcing him to learn how to read and how to comprehend spoken English. The reason? To eventually replace his father, who is being forced to participate in Lax Jerk Cooked Pork commercials. In a recursive twist of sorts, Lax Jerk is a network sponsor for the MADMA series and and is featured in episode 7, wherein Lil'Sas' father can be seen! Later, Mary becomes jealous of Lil'Sas and his great feats of physical strength. This leads to her running away and being teleported, along with Dad, to EG's lair. Oznog and the monks - Oznog leads a cloister of monks in season 2. Featured in epidode 22-26, Oznog gives Mary and Dad a compass to find the way back home, provided they complete a quest, which involves clearing out three monster spawners in different parts of the map near the monastery. Other crew - We are proud to note that we've had at least a dozen other kids and adults provide small voice talent contributions, set building and other advice and help since starting our channel! 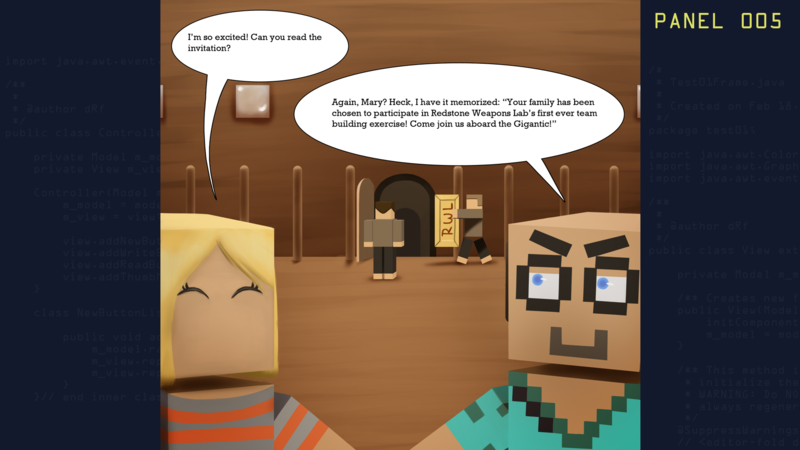 The Gigantic - Mary and Dad find themselves on the cruise "The Gigantic", courtesy of Redstone Weapons Laboratory. 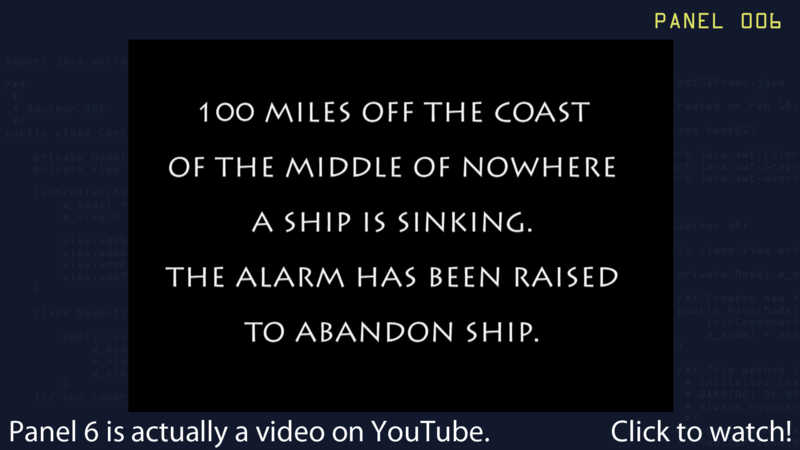 They escape the ship and make it shore when it sinks "100 miles off the coast of the middle of nowhere" just prior to the start of the first episode. See the graphic novel prequel for more information. While the ship does not appear in a any full-length episodes, it is featured in MADMA Short Film #2. The Mothership - Mary and Dad's initial home, dating back to episode one. The Shaft - The Shaft is a long, vertical cave entrance that leads to the Giant Cave of Epic Awesomeness, featured first in season one. 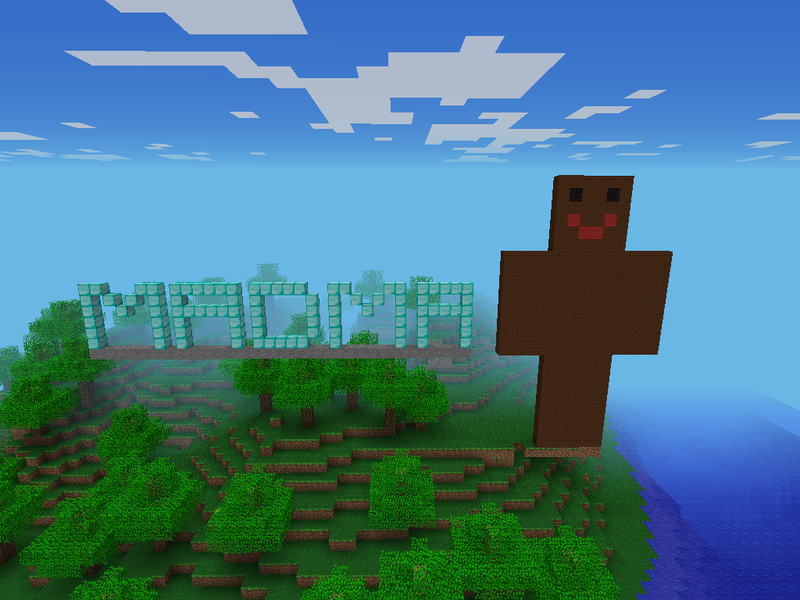 The Bedrock Walls - The original MADMA map, approximately 25x25 chunks in size, is surrounded by bedrock walls. Outside these walls lay a land of "unreality." Dad dies outside the walls and finds himself instantly resurrected, albeit confused. 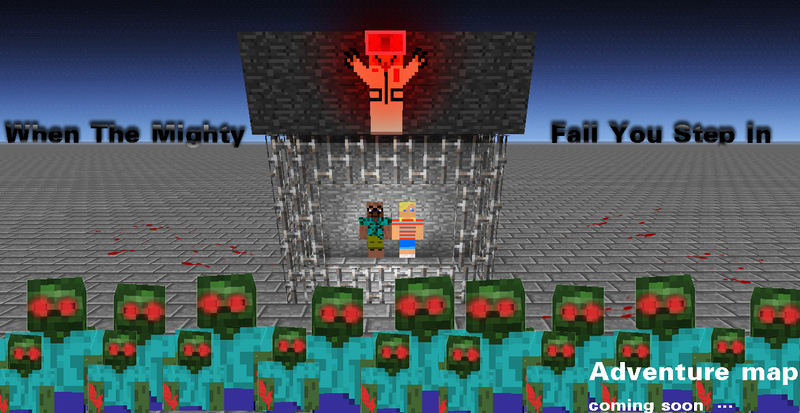 The walls first appear in episode 27 when Mary and Dad finally make it back from the Nether. This timing is no coincidence. 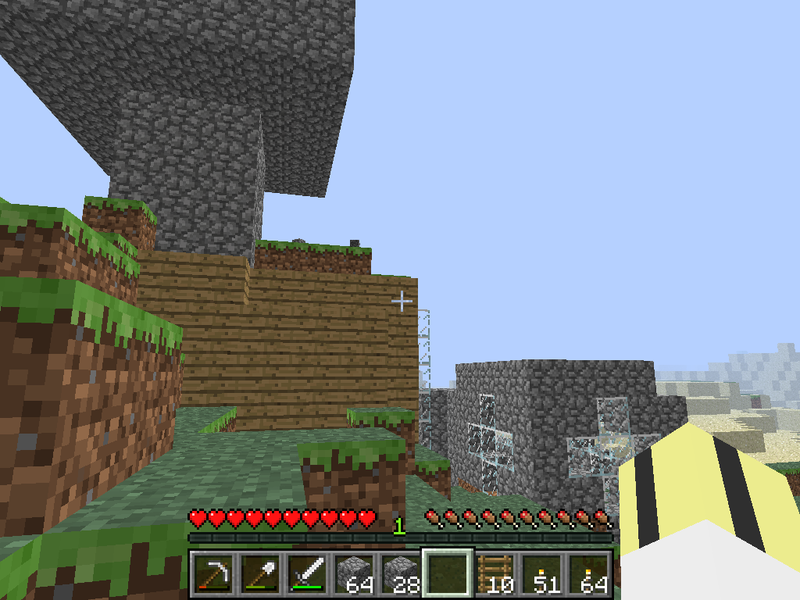 The walls were added as a result of the terrain generation algorithm changing from Minecraft 1.7.3 beta to 1.8 beta. 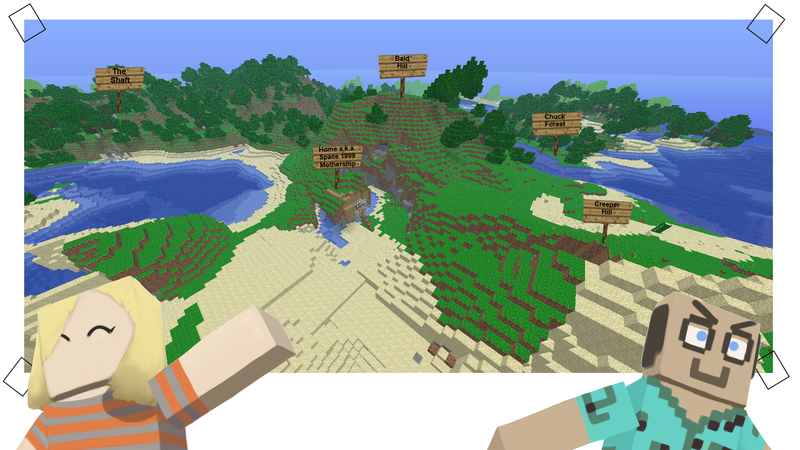 Previously generated chunks would no longer "match up" with terrain generated by the new Minecraft engine. 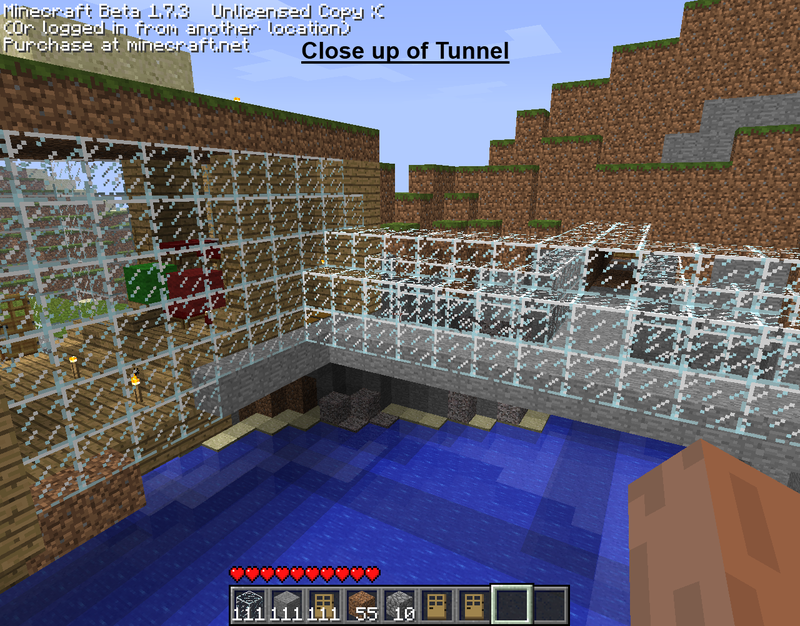 So the walls were added to explain the chunk boundary issues. 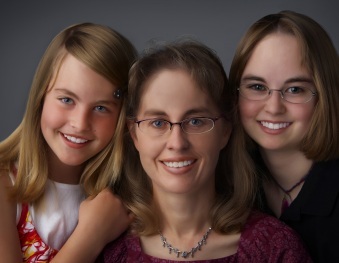 Left to right: The lovely and talented Mary, CameraMom and Missyfenstrider. Koz (in typical form) posing as Conan the Barbarian. 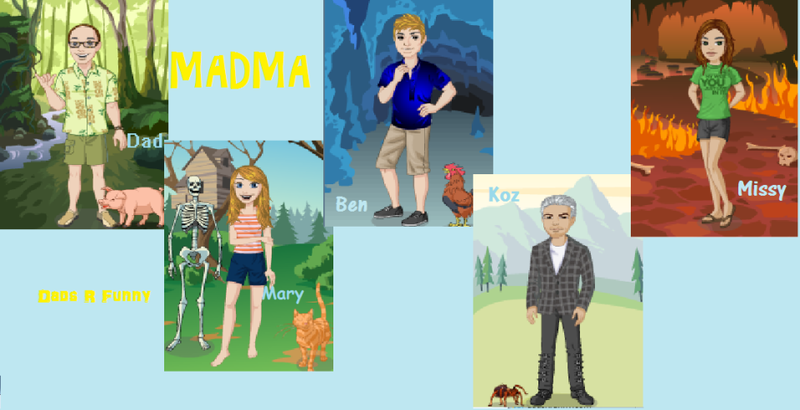 Explore everything MADMA in MADMAverse tab. Come back soon as we update frequently! Important note: Some of the links below are adfly links and below each of those, a direct link. For adfly links you can simply click them, wait 5 seconds and click the skip add button in the upper-right corner if you want to help us by using adfly and thereby supporting this site--or just click the directl link. Either way, thanks! 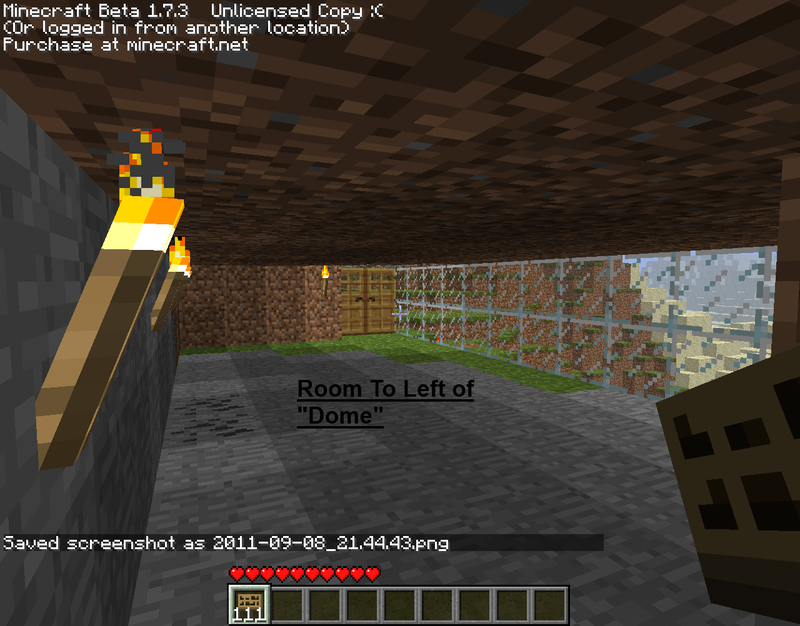 These two MADMA maps are older maps from the island but they are upgraded for use in minecraft 1.6+. 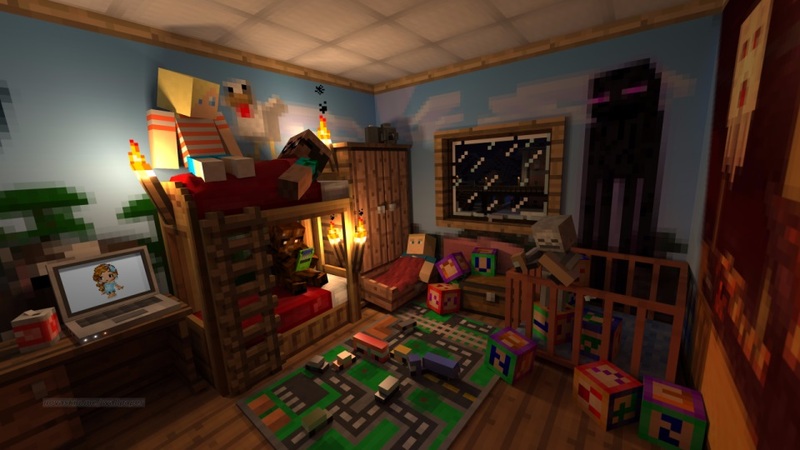 These MADMA maps are for older versions of minecraft. For now, we have a MC v1.73 save file set at the beginning of episode 18/day 21 here. applicable--unless you are using an old 1.7.3 or earlier jar file. 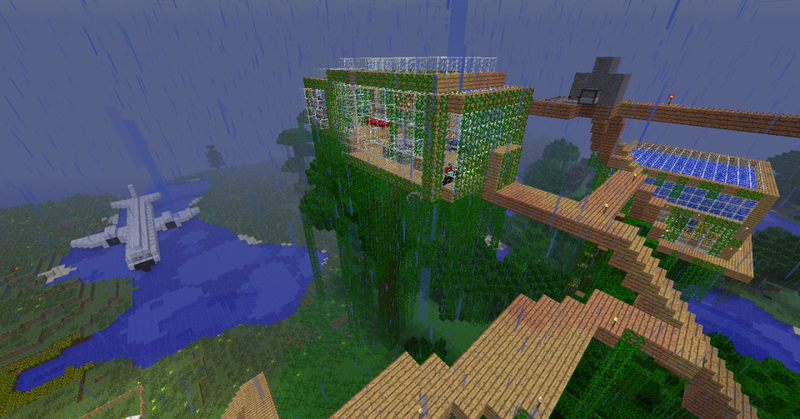 Around MADMA s09e04 we had to switch maps because minecraft 1.7 made major changes to biomes. And with the end of MADMA s09 we have added our EOS9 MADMA map download! 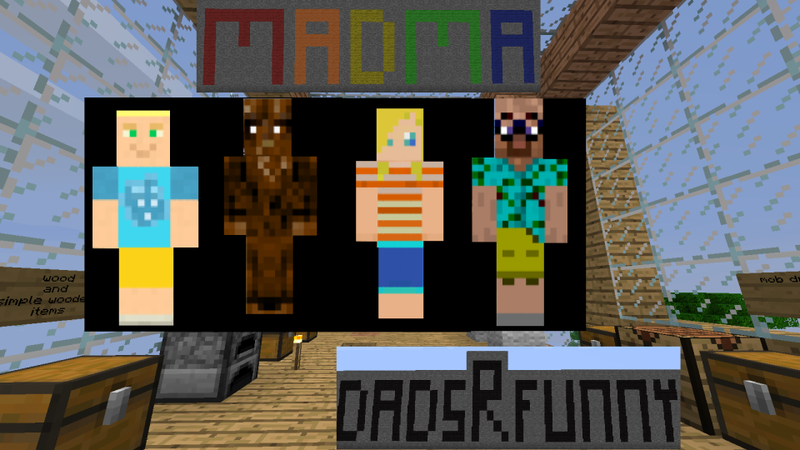 And with the end of MADMA s10 we have added our EOS10 MADMA map download! 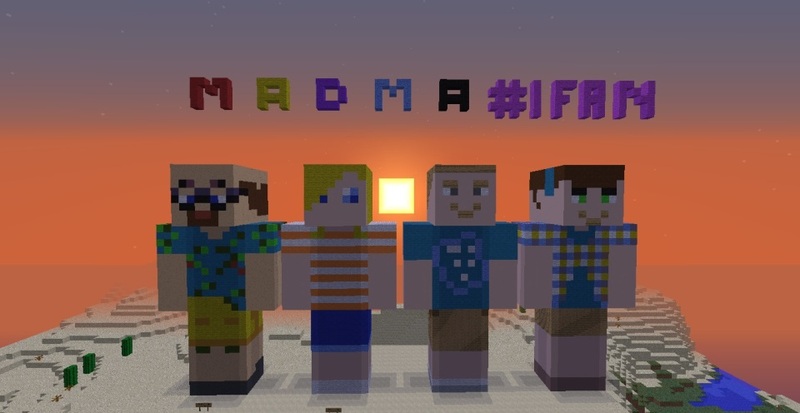 And with the end of MADMA s11 we have added our EOS11 MADMA map download! 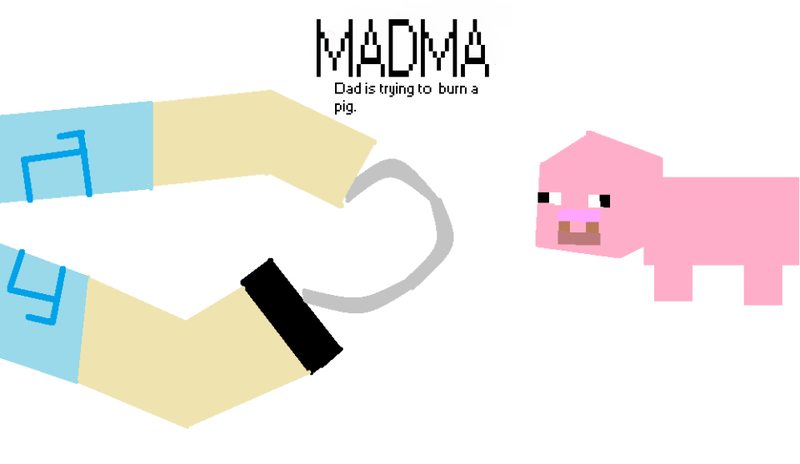 And by popular demand, a modified version of the end of MADMA s11 with the boat, horses, etc! 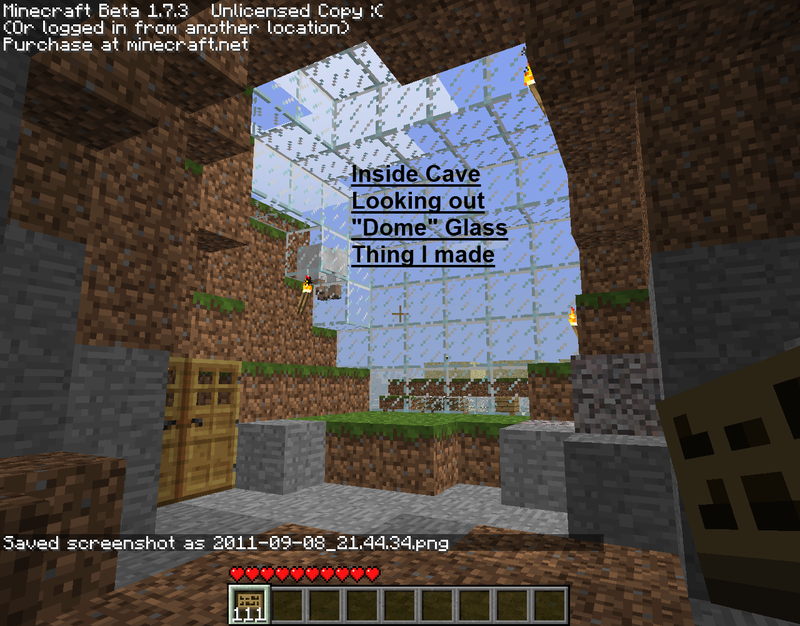 These Tekkit maps are for use with "Tekkit Lite" v 1.13 and above. In order to get the files, click the link, wait a few secs for adfly to display "skip ad" in the upper-right corner of the page. 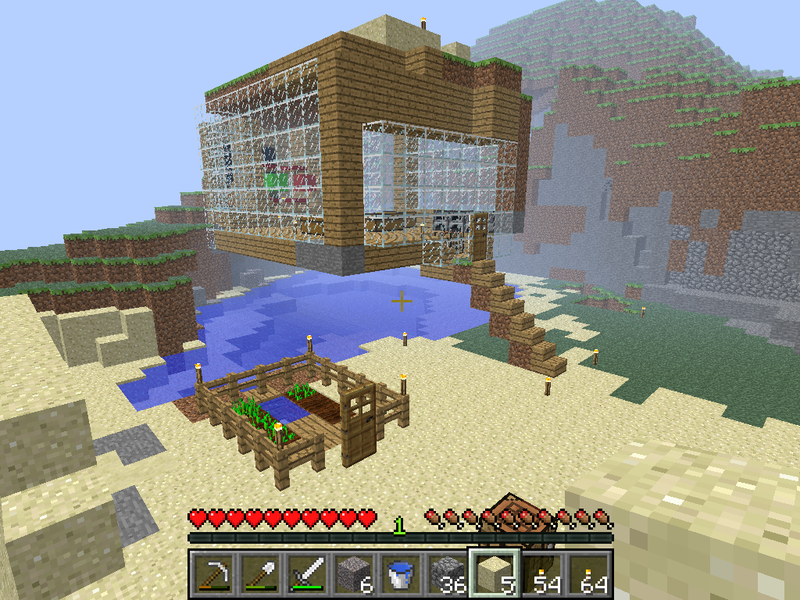 It should look something like this. then click "skip ad". It's that simple! And remember, adfly helps offset the cost of hosting this server. Thanks and enjoy the downloads! MADMANOMICON Volume I consists of seasons one through three. MADMANOMICON Volume II consists of seasons four through six. MADMANOMICON Volume III consists of seasons seven through ten. Contains short film #0, the trailer. 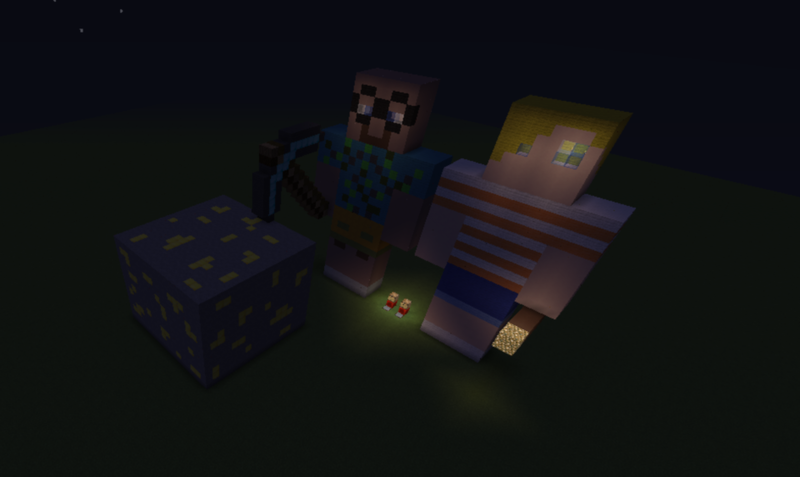 "A Day In the Life At Minecraft Weapons Lab"
005 Teach a Mac To Fish? 6       14:17  11/06/22  Wed  Better audio, but music too loud. Contains short film #5, "****in' with Bigfoot"
008 Mary in the Sky with...                  9       13:48  11/07/07  Thu  Audio really good except for a few drops and gaps. 009 "Being stranded wasn't such a bad       10       14:28  11/07/13  Wed  Audio really good except for a few drops and gaps. thing after all." (R.I.P.) Sync, good. No echo. Mary's has a bit of buzz on it. out. Audio is pretty good despite this setback! issues, no recording issues, etc. 018 Aporkalypse Now                         21       18:03  11/09/15  Thu  Again, no mic issues, no recording issues, etc. 019 Aporkalypse Now Part II:The Sizzling    22       13:43  11/09/22  Thu  Again, no mic issues, no recording issues, etc. 020 This doesn't look like the Netherlands! 23       13:34  11/09/29  Thu  New studio setup is a bit tinny. Sound proofing? 021 Floating S'mores of Evil                24       13:35  11/10/06  Thu  New studio setup is a bit tinny. Sound proofing? 022 Oznog's Quest                           25-27    14:52  11/10/13  Thu  Near-perfect audio. Noise dampening for Mary? 023 The Quest Continues                     27-28    14:22  11/10/20  Thu  Near-perfect audio. Noise dampening for Mary? 024 Heroes of the Monastery                 28-29    14:37  11/10/27  Thu  Time to work on reducing clicks and other noises. 025 Disaster Strikes! 29       16:31  11/11/03  Thu  Time to work on reducing clicks and other noises. 026 Shorty Fire Burnin' on the Dance Floor! 30-31    16:29  11/11/10  Thu  Time to work on reducing clicks and other noises. 030 Don't Do Anything Dangerous! 34       17:52  11/12/22  Thu  No technical issues. Able to capture Mary's footage. 031 There's Nothing Left, Man! 34-35    17:11  11/12/29  Thu  No technical issues. Able to capture Mary's footage. 032 "Is that a compliment?" 36       14:21  12/01/05  Thu  Need to get sound dampening for Mary's setup. 033 Killing Two Birds With One Stone        36-37    14:10  12/01/12  Thu  Need to get sound dampening for Mary's setup. 034 Stairway to Heaven                      37       14:16  12/01/19  Thu  Need to get sound dampening for Mary's setup. 035 Escape From Dragon Mountain             37-38    14:44  12/01/26  Thu  Need to get sound dampening for Mary's setup. 036 Three's a crowd! 39       14:47  12/02/02  Thu  Main machine died. Activated backup. 037 It's Not Ewe, It's Me                   39       16:40  12/02/09  Thu  Main machine died. Activated backup. s04e01 The Splice Is Right                  42       15:08  12/03/29  Thu  Best overall sound yet. Little noise and good levels. s04e02 Shhh Look Like My ToupÃ©e             42       14:55  12/04/05  Thu  Best overall sound yet. Little noise and good levels. s04e03 Deal or No Deal? 42       15:45  12/04/11  Wed  Best overall sound yet. Little noise and good levels. s04e04 I Gotta Park This Pig! 42       15:12  12/04/19  Thu  Best overall sound yet. Little noise and good levels. s04e05 Shoots and Ladders                   42       14:27  12/04/26  Thu  Best overall sound yet. Little noise and good levels. s04e06 Splice Returns                       42       14:22  12/05/03  Thu  Best overall sound yet. Little noise and good levels. s04e07 Crickets                             42       14:07  12/05/10  Thu  Mary's new setup provides the best sound so far! s04e08 The Life and Times of Lil'Sasquatch  42       14:35  12/05/17  Thu  Mary's new setup provides the best sound so far! s04e09 It's Hard to Look Right...Atcha Baby!42       14:15  12/05/24  Thu  Mary's new setup provides the best sound so far! s04e10 The Sound of Sasquatch               42       14:13  12/05/31  Thu  Mary's new setup provides the best sound so far! s04e12 Mothership Down                      42       14:45  12/06/14  Thu  Mary's new setup provides the best sound so far! s04e13 Mo'Ship                              42       18:42  12/06/21  Thu  Mary's new setup provides the best sound so far! s05e01 Like a Good Neighbor                 42       15:16  12/07/12  Thu  Get echo reduction for basement setup! s05e02 Don't Let the Zombies Bite           42       15:10  12/07/19  Thu  Get echo reduction for basement setup! s05e03 For the Love of Lava! 42       14:56  12/07/26  Thu  Get echo reduction for basement setup! s05e04 Little Voice                         42       17:03  12/08/02  Thu  Get echo reduction for basement setup! s05e05 Benadryl ?! 42       16:16  12/08/09  Thu  Get echo reduction for basement setup! s05e06 07D1, A Splice Oddyssey              42       19:15  12/08/16  Thu  Echo reduction in place for filming this epi! s05e07 Get Your Own #0!&@^$ Cat! 42       15:22  12/08/23  Thu  Echo reduction in place for filming this epi! s05e08 Can't Climb This! 42       16:10  12/08/30  Thu  Echo reduction in place for filming this epi! s05e09 The Road                             42       16:16  12/09/06  Thu  Echo reduction in place for filming this epi! s05e10 Temple Takedown                      42       16:28  12/09/13  Thu  Echo reduction in place for filming this epi! s05e11 I've Fallen and I Can't Get Up! 42       15:12  12/09/20  Thu  Echo and other issues reduced to near zero. s05e12 Casting Out Evil                     42       15:05  12/09/27  Thu  Echo and other issues reduced to near zero. s05e13 He Sas, She Sas                      42       15:31  12/10/04  Thu  Season dedicated to the memory of Charlie the guinea pig. s06e01 Would You Like Fries With That? 42       17:28  12/10/25  Thu  Clean audio x 4.
s06e03 We Don't Want To Fight Chuck Norris  42       16:51  12/11/08  Thu  Clean audio x 4.
s06e04 Man, That Looks Like A Jungle! 42       17:14  12/11/15  Thu  Clean audio x 4.
s06e05 Giving Thanks                        42       17:10  12/11/22  Thu  Airs on Thanksgiving. s06e10 The Revelationing, Pt 2: Going Viral 42       17:35  12/12/27  Thu  Most complicated epi to date? s06e12 The Hunt Begins                      42       14:35  13/01/10  Thu  Dad's mic back at 100%! s07e01 Secrets Don't Make Friends           42       16:22  13/02/21  Thu  Mary's game track didn't record. s07e03 The Secret Life of the Vegetation    42       15:52  13/03/07  Thu  They pretty much match up. 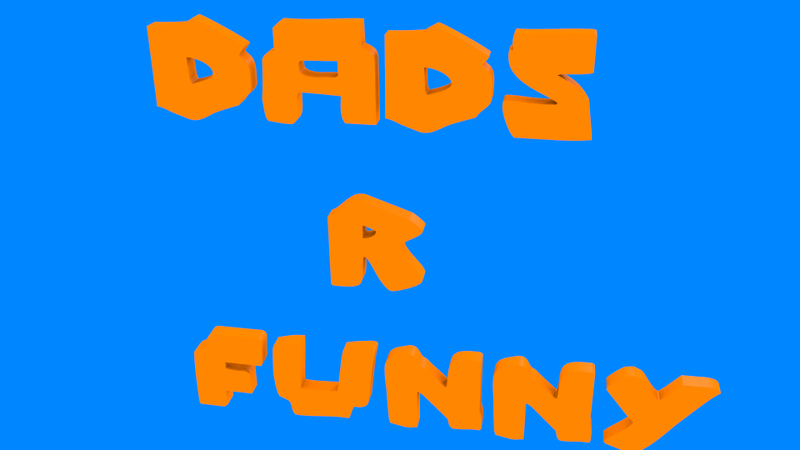 This contains B&F epi 1.
s07e04 Breaking Dad, Part I                 42       19:19  13/03/14  Thu  This contains Mary's solo potion adventure. s07e05 The Terrible Truth(about Timeshares) 42       16:29  13/03/21  Thu  Best audio yet minus some noises on Missy's mic stand. s07e06 Shear Insanity! 42       16:45  13/03/28  Thu  Best audio yet minus some noises on Missy's mic stand. s07e07 Vengeance is Magic                   42       16:03  13/04/04  Thu  Best audio yet minus some noises on Missy's mic stand. s07e08 Breaking Dad, Part II                42       18:15  13/04/11  Thu  Best audio yet minus some noises on Missy's mic stand. s07e09 Breaking Dad, Part III               42       19:46  13/04/18  Thu  This marks the end of day 42 (real world time) !!! s07e10 Benception                           43       18:10  13/04/25  Thu  Benception! s07e11 Night of the Endermen Part I         43       22:52  13/05/02  Thu  Better audio! 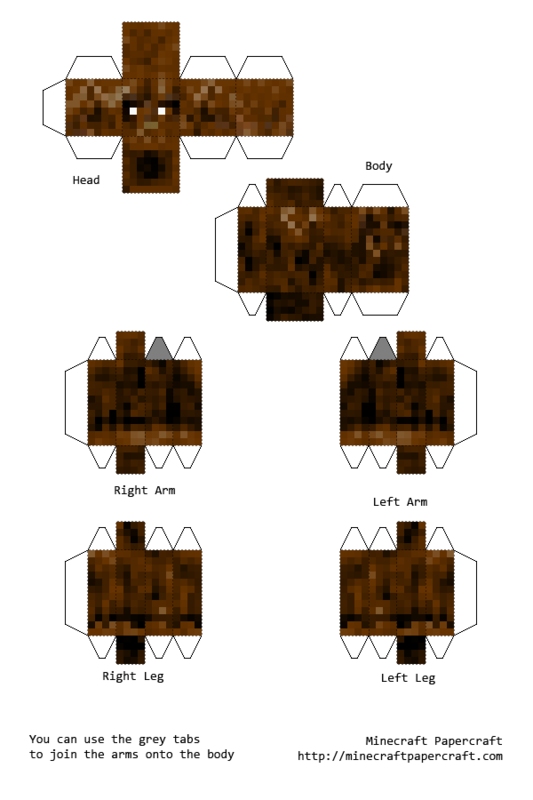 s07e12A Night of the Endermen Part II       43       12:58  13/05/09  Thu  This episode was so long we had to render as two files. 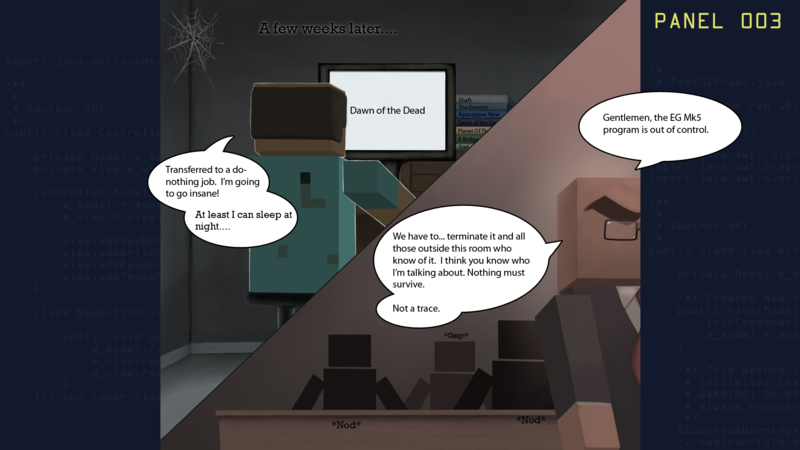 s07e12B Night of the Endermen Part II       43       12:50  13/05/09  Thu  This episode was so long we had to render as two files. s08e01 "Ben" a Long Time                    43       19:23  13/06/13  Thu  Finally, a decent recording audio workstation for Sas! s08e08 Mind Officially Blown                43       20:40  13/08/01  Thu  Yep...mind officially blown. s08e09 You Only Live Twice                  43       18:23  13/08/08  Thu  Our 100th MADMA episode.... Wow! 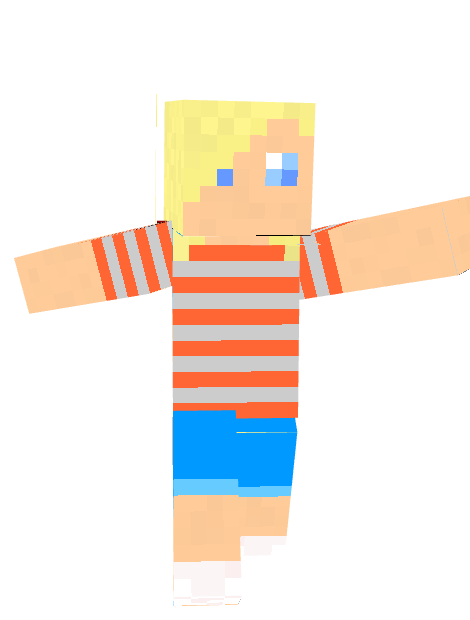 s09e02 Bite Club Part 2(of2)                43       20:45  13/10/10  Thu  Includes fan server scene with 40+ contributors!!! s09e07 Brave New World                      43       19:03  13/11/21  Thu  Begin 1.7 world!!! SEASON 10 is the last 'official' season of MADMA. 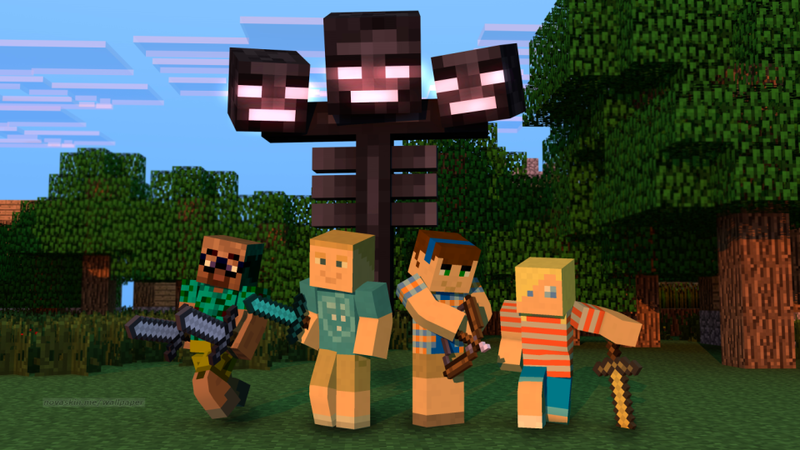 Optional seasons follow detailing what happens after the gang returns to the real world. Mid-season break here -- no episode on 4/17                 14/04/17  Thu   Spring Break! First optional season:  We discover more about Lil'Sas and her family back in the real world of 'MADMA' island. 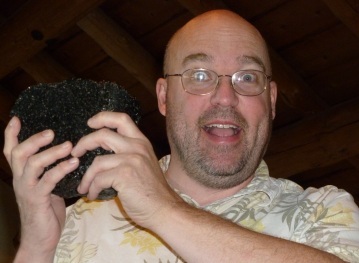 Mid-season break here -- no episode on 8/14                 14/08/14  Thu   Back to school! s11e10 Rabbit Rescue! 54       19:38  14/09/04  Thu                                ...several times actually. s11e12 That's some serious ship! 56-58    19:30  14/10/02  Thu   Contains tag-team boat building montage. Second optional season:  We return Sas to her home and ...? *days 67-70 omitted as a gap between parts 2 and 3. *part of day 76 and 77 is omitted between s12e10 and e11. Infinity topic: General introduction and first day(s) scramble for survival. 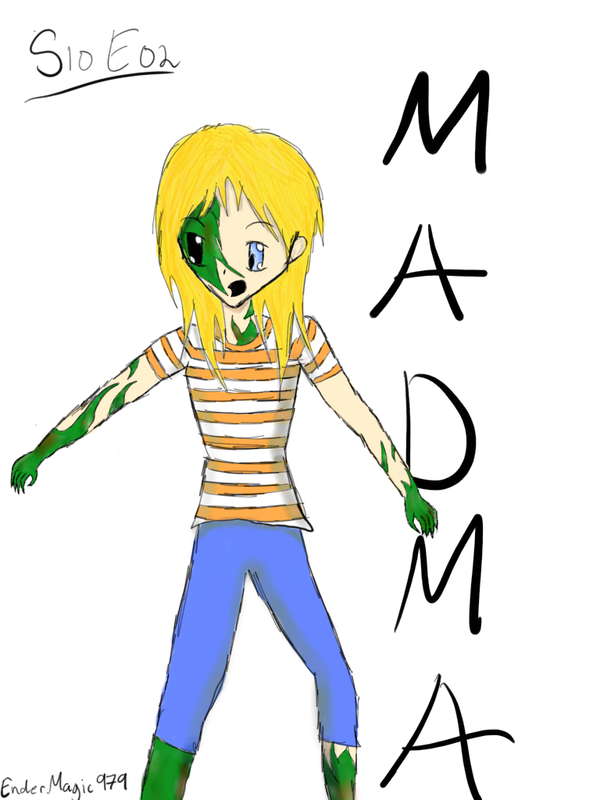 MADMA topic: The "Evil Guy" in the early years of MADMA, namely the first three season of the show. and how the "Evil Guy" came about as a result. 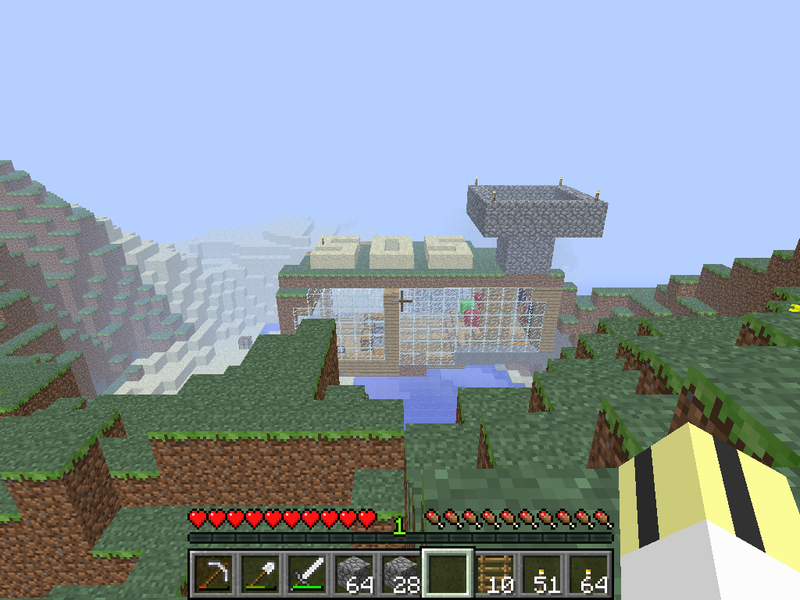 Infinity topic: Finaling the smeltry and creating our iron tool set. 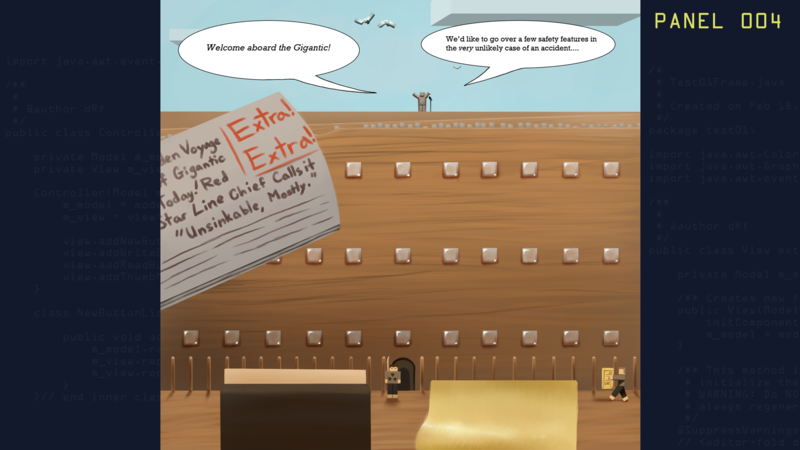 Hey, check out the first few panels of our graphic novel! 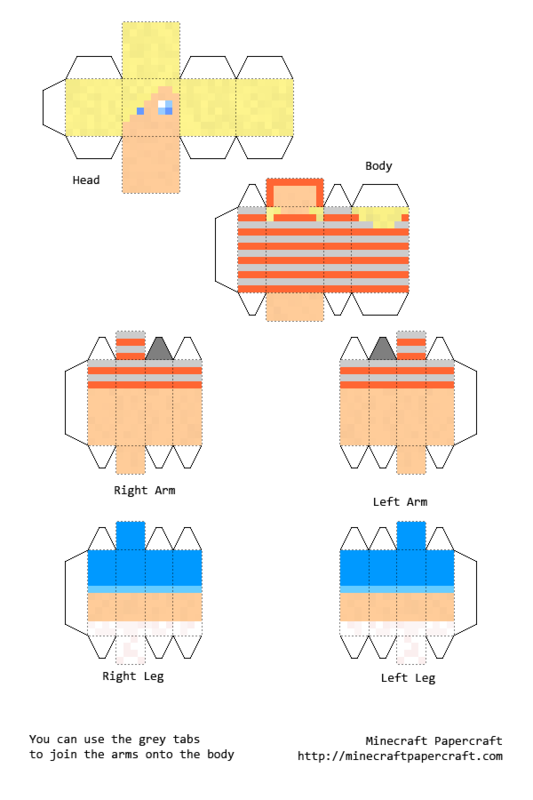 Click the thumbnails below to enlarge. 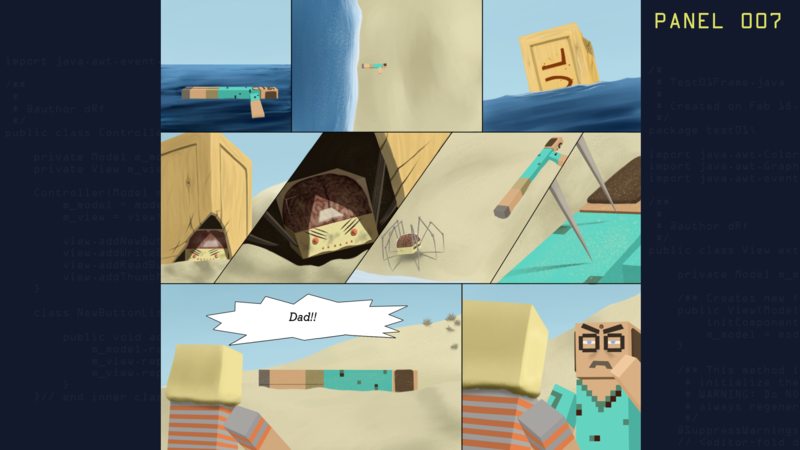 Missyfenstrider is making the MADMA graphic novel, a prequel of sorts to episode one. 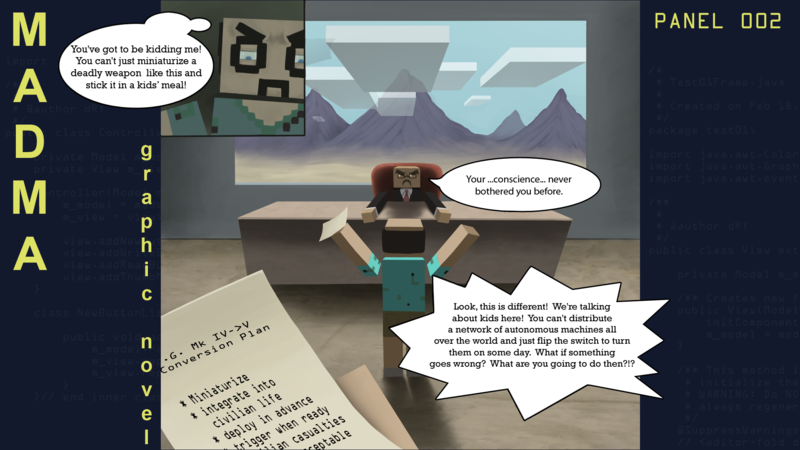 These panels fill in some of the backstory of the MADMA video series. Expect a couple more pages soon! At least one of the panels is actually a YouTube video and some of the panels appear in our YouTube vids--so we are sort of mixing it up a bit! "Public Domain - no rights reserved - content can be used in any way"
We have been able to contact Jara Kolejka, aka Inorganic, who is now a friend of the show! you can use, either standalone or as a plug-in in your DAW station. Note:  The above link is down. I'm asking Jara where we can find this going forward. We have lots of viewers in Europe and I'm glad Jara is now one of them! We could never convince YT that we had rights for the season 1 intro, even though it was public domain. 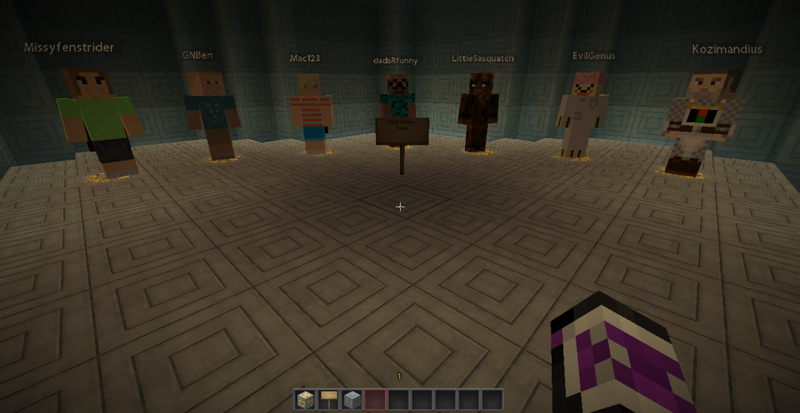 So we decided to make our own intro, and by doing so, we avoided any future rights issues. Same as season 1 above. 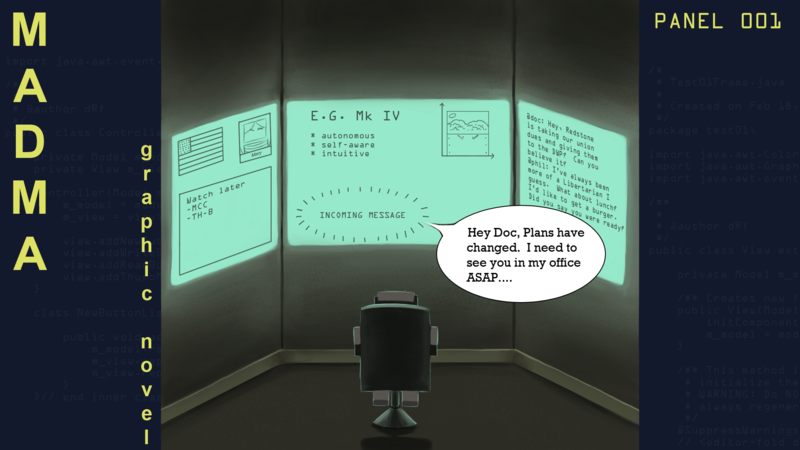 Season 4 sported a new "computer" sounding intro. Season 5 is sort of Dave's attempt at making a Steely Dan track. appear in the upper-right corner. By displaying adf.ly ads we help offset the cost of our web site hosting. 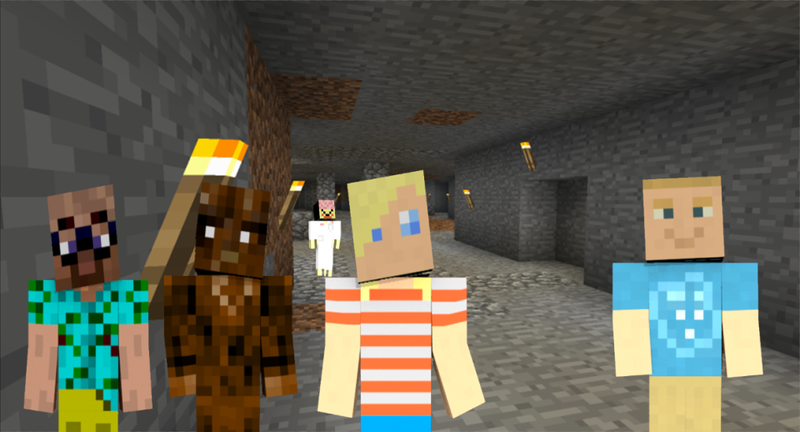 Minecraft servers our fans play on and recommend. If you'd like to recommend a server let us know. If you see your IP on this list and want us to remove it just let us know. 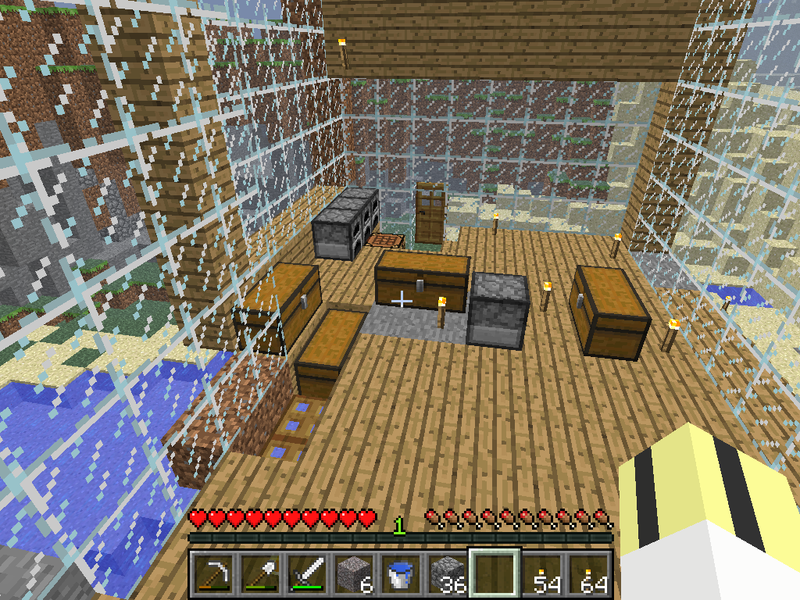 Fantage made a killer room scene. Check it out!!! Sunburst loves the show and made this for us. Awesome! Michael made an awesome scene with all four of the gang...and wait, who's that!!! Watch out guys! 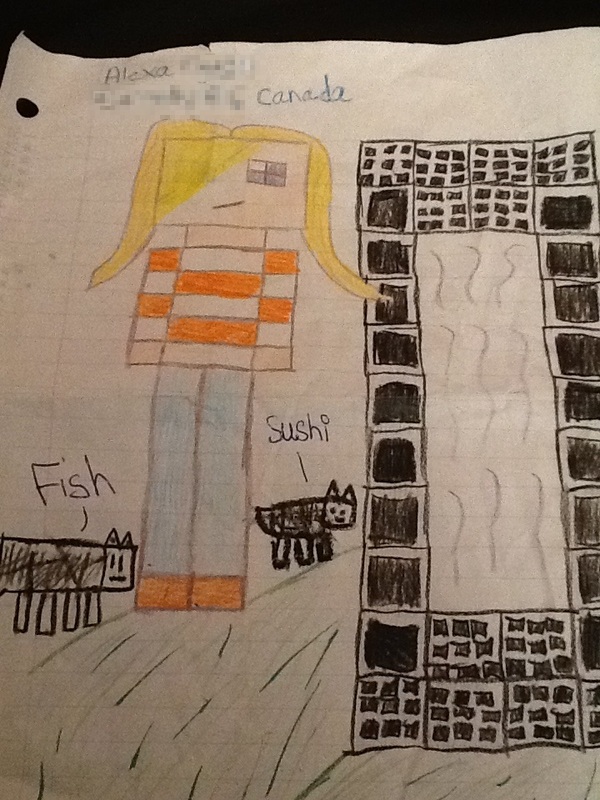 Alexa made an awesome drawing of Mary, Sushi and Fish! Woah, nice! Georgia sent her favorite skin art (Mary!) to us. Wow, thanks! Clara's back with more fan art! 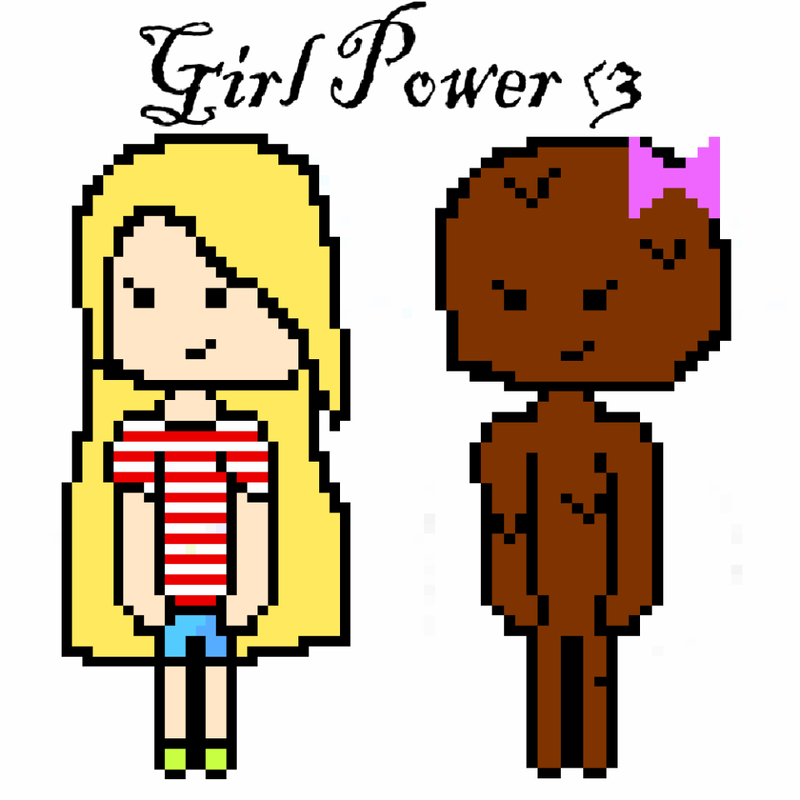 This time it's all about Girl Power! Will made some cooool Mary and Dad statues. Wow! Nice!!! 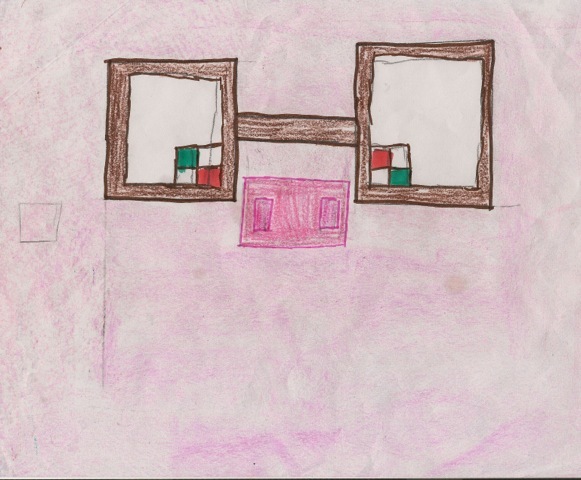 Lili drew Mary with a red and purple background! Nice!!! 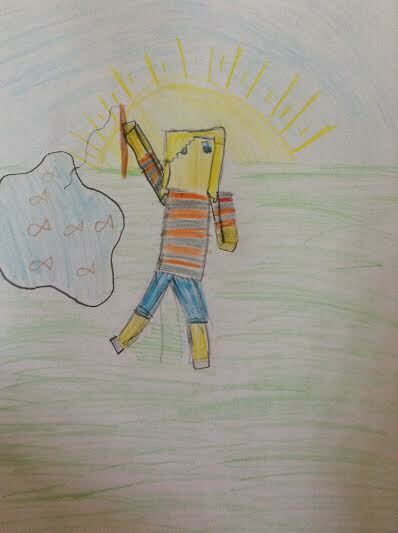 Sierra drew an awesome "fishing Mary" -- so cool! 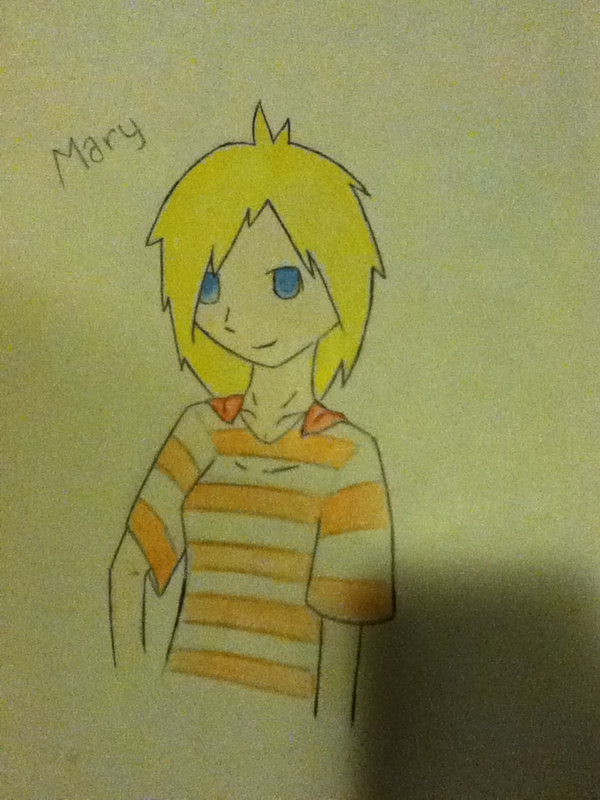 Clara made an anime Mary--sweet!!! 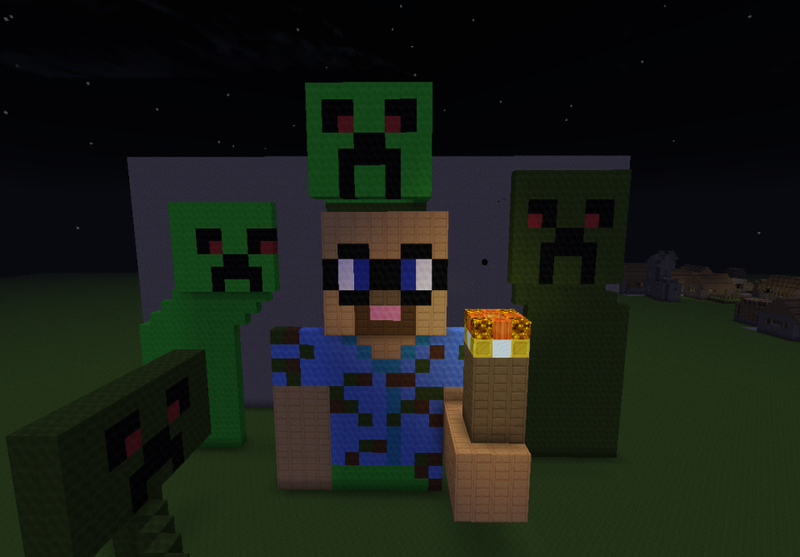 Trinity found a wither and had it pose with the MADMA crew for a pic! Awesome!!! Tiffany and Ethan drew Mary and Sas! Wow! Alli made a "quad" statue pic with a #1 fan logo on top--fantastic!!! Liz made a sword, bow and rod logo-nice! 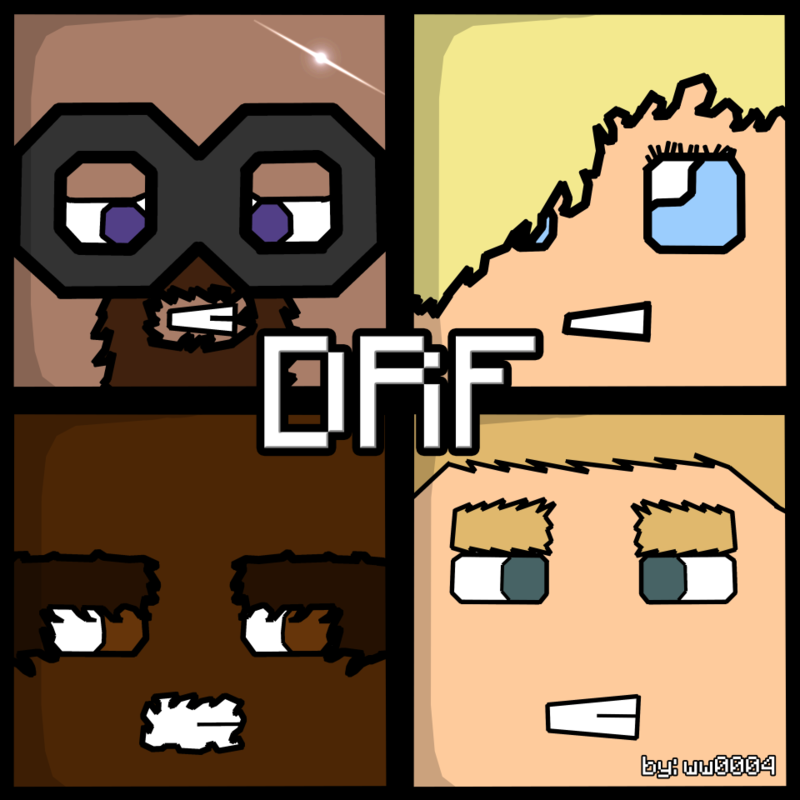 Andrew made an awesome DRF logo--wow thanks! Lexi imagines Mary wearing a 'stache! We love it! The entire cast as drawn by Lilly! 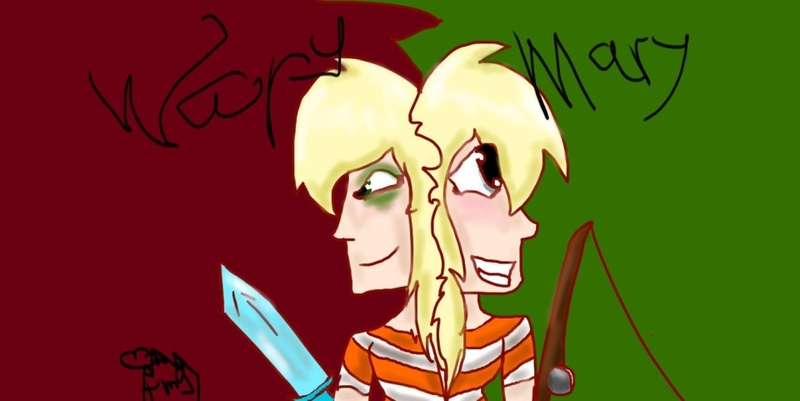 Another awesome Mary / Wary image by Gabby! Megan predicts Mary will become part zombie in MADMA season 10! Emilee made an awesome statue of Mary! 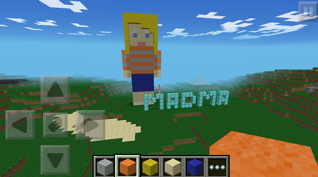 Emilee also made a very cool MADMA logo! 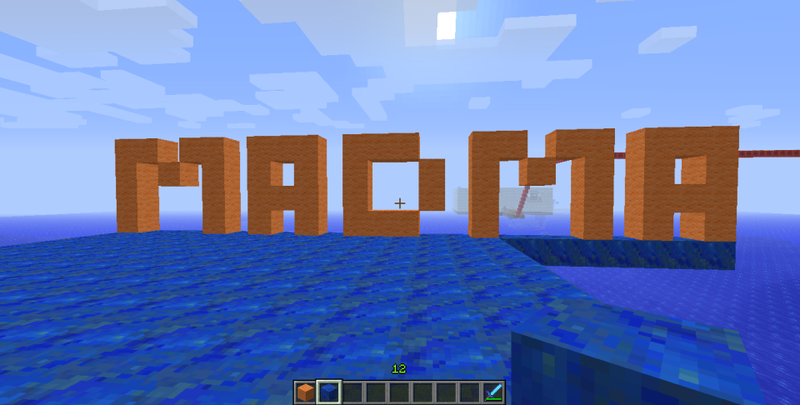 Mike used Blender to make a great logo! Nice!!! 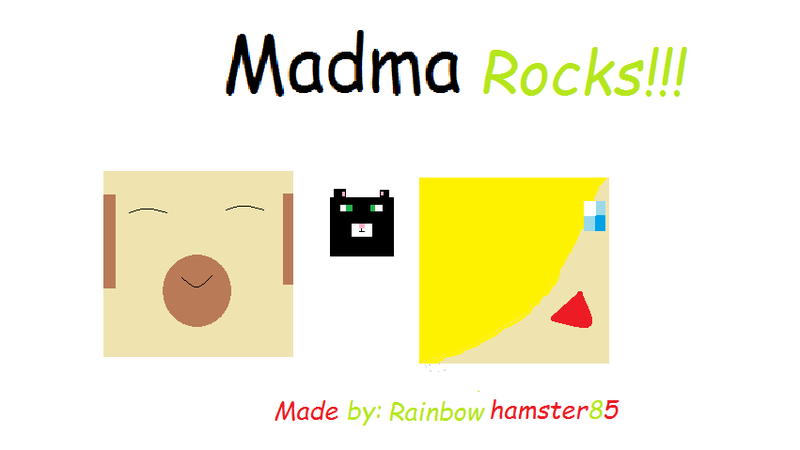 Rainbowhamster85 made a hamster-ee MADMA pic for us. Thanks! Lefteris made a banner reminiscent of the 70's ... Groovy! WW0004 (remember him?) 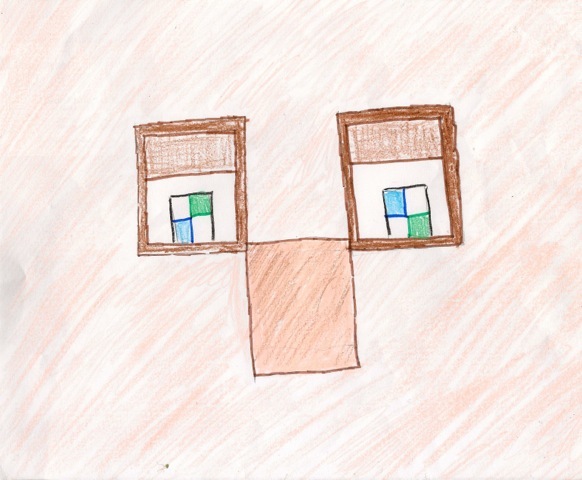 made a sweet 2x2 face logo--nice! He's been a fan since...forever! 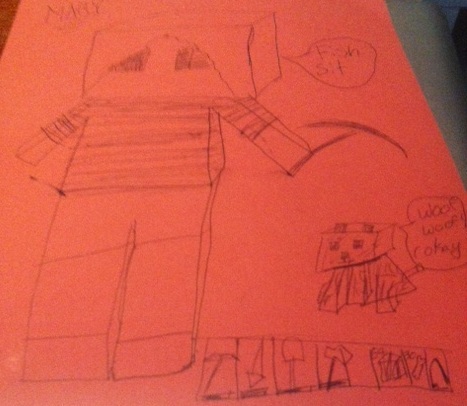 Zach made pic showing the MADMA name as well as a statue of Lil'Sas! -- great job! James made a 'red and green' pair of statues. We love red and green here in New Mexico! 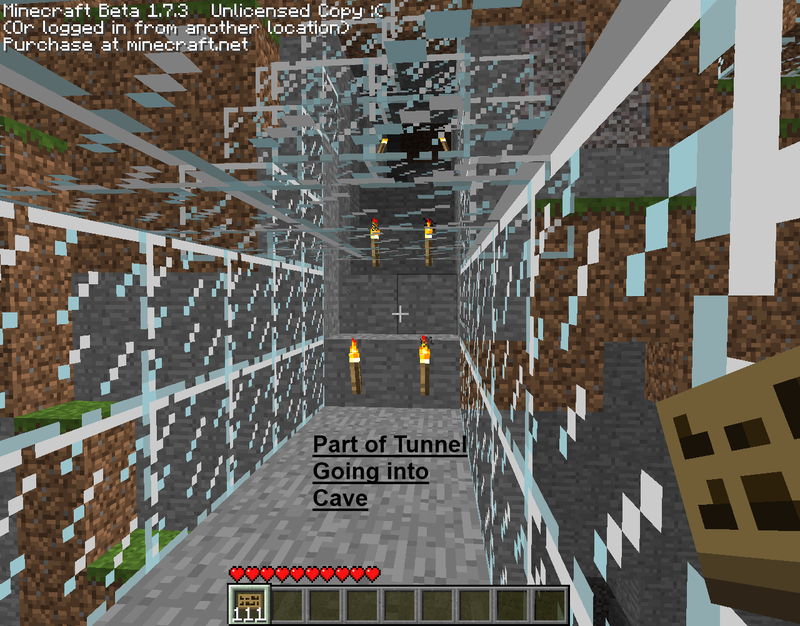 Gabby created a MADMA season 6 map update and took a screen shot--nice! Kathryn made a reverse image for us that's really cool, like a mirror image! 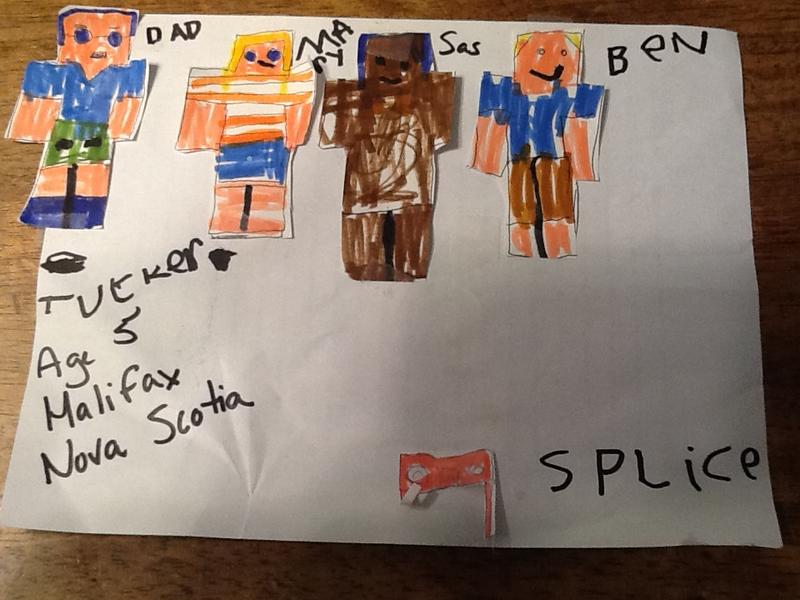 Bella made a cool pic with all of the crew! Anne made a FANTASTIC logo!!! Wow! 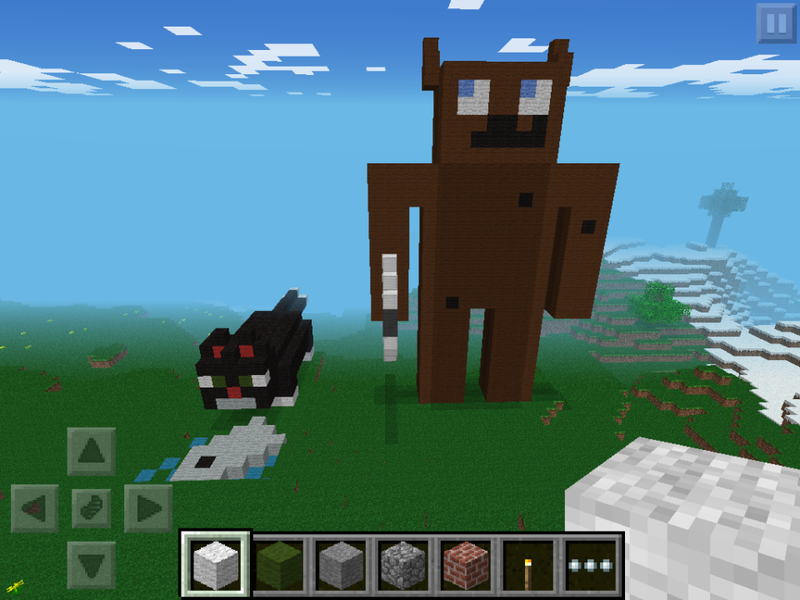 Athena made us a couple of great statues in pocket edition! Lucia and Aya made awesome close up images of the gang. Missyfenstrider commented on how there is a lot of art going on in these! 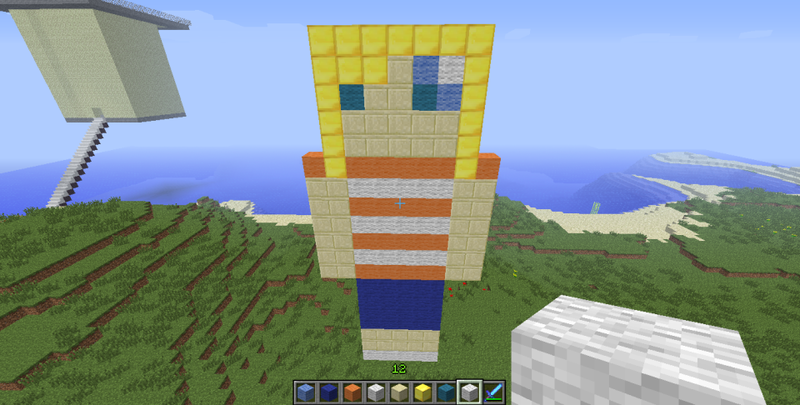 Dill made a statue of Lil'Sas!!! Wow! Vie made a statue of Mary! Nice! Dave did too! Thanks Dave! Tucker--our younget fan?--drew the crew! Thanks Tucker! Kiera 'hearts MADMA' -- nice! Kyler made a pic of Sas and Bernard!!! Nice! 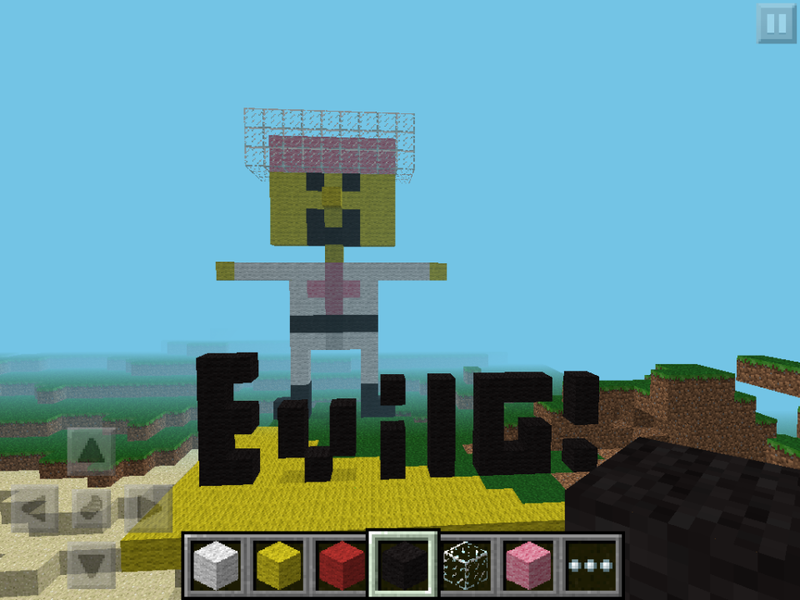 Paige whipped up a cool creation: Evil G!!! 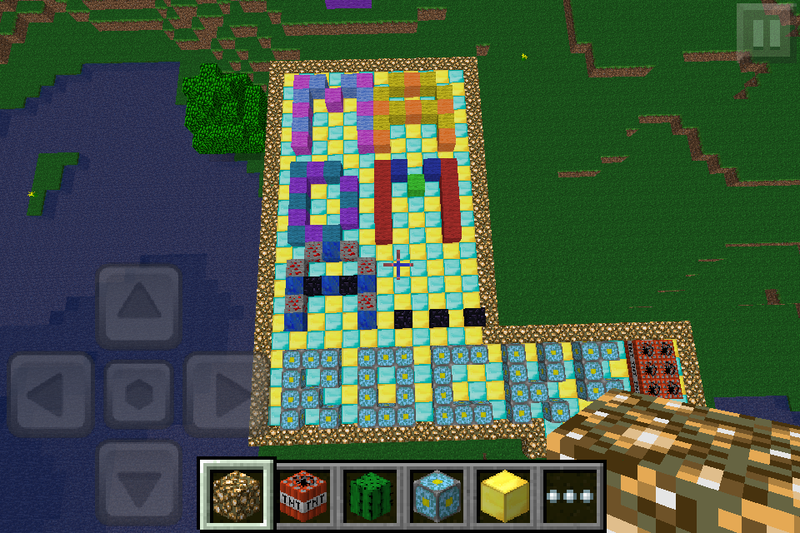 Ry made a rainbow banner! 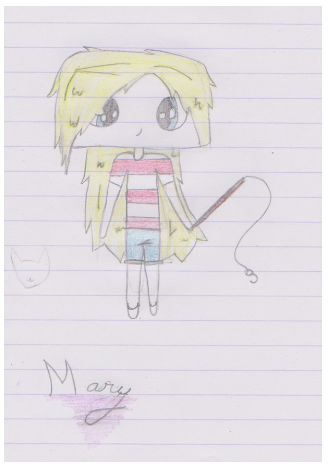 Em drew Mary with Fish! A custom Mo'ship made by Steph! 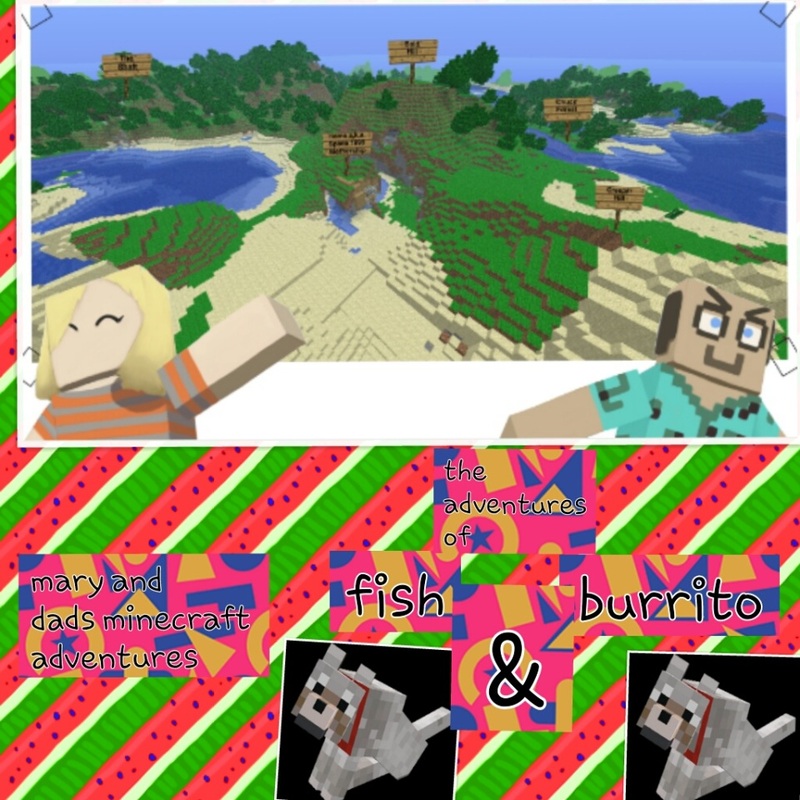 minecraftkitty loves "Burrito and Fish" ! 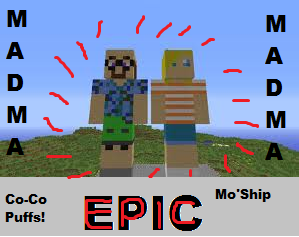 S made us a really cool upgraded season 4+ Mo'Ship. Check this out...and notice anything unusual in the background? 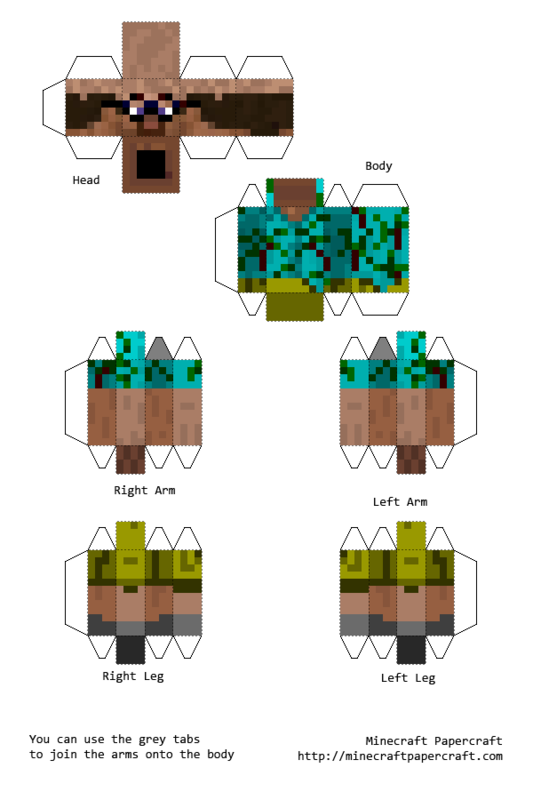 S. created multiple views of a custom-made Mo'Ship! 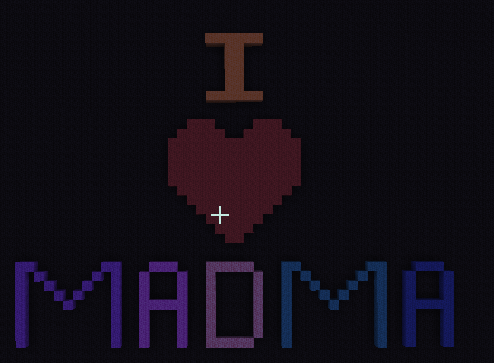 Louis made a MADMA logo--awesome! 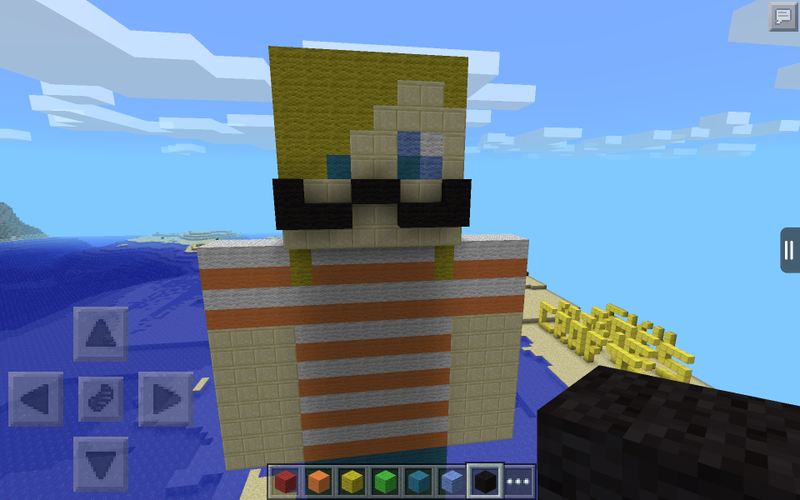 K. made a pic of Splice on pocket edition!!! Woah! 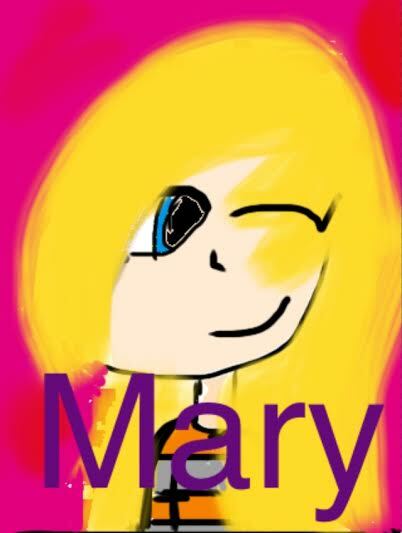 MJ made a pic of Mary! Thanks! Creativebotclone pictured Dave whomping on a skeleton! Wow! 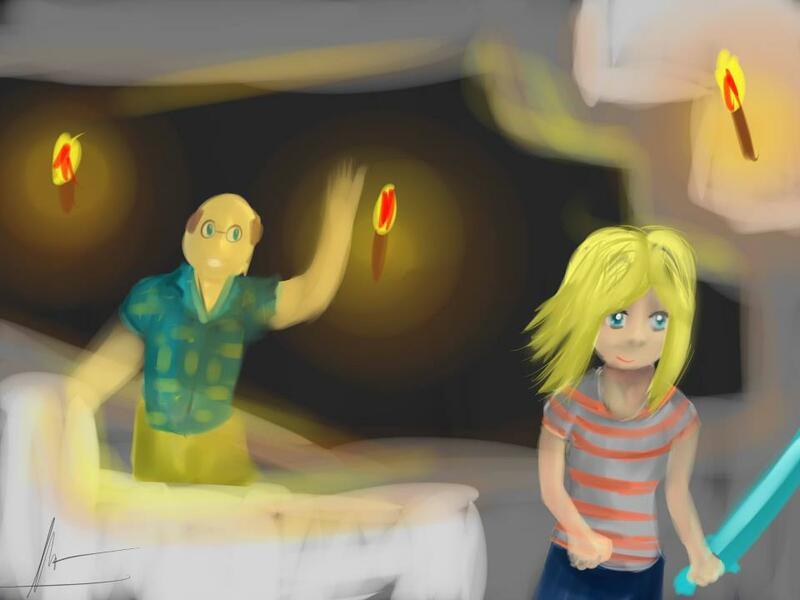 Ceene made a realistic drawing of Dad and Mary in a cave. Very nice!!! Thanks! Kim made a tribute video--thanks! 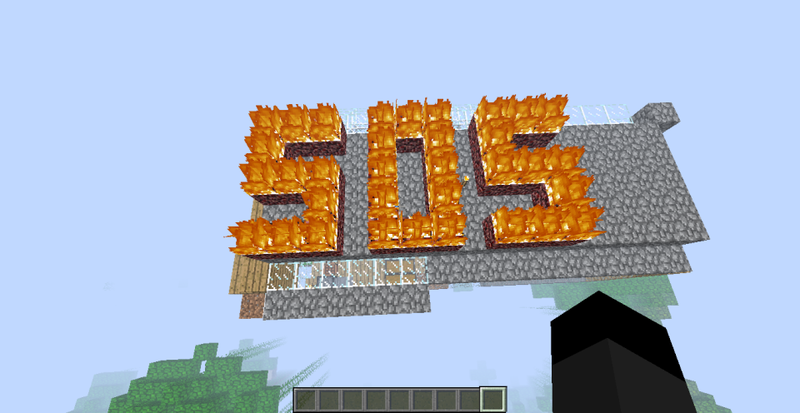 Vancantian4ever from YouTube made a flaming SOS on the Mo'Ship. Woah!!! 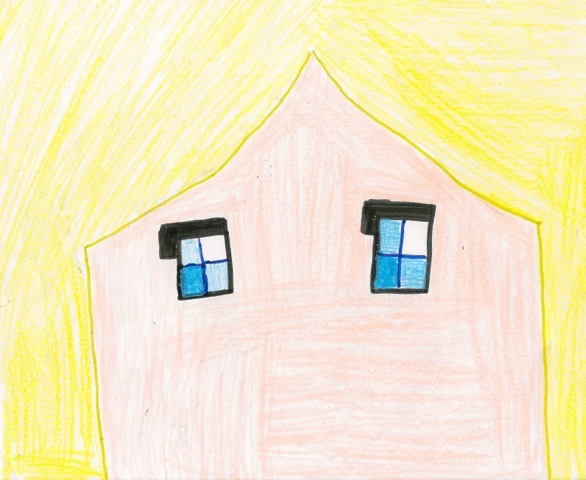 Maddie made awesome pictures of both Mary and Dad! Liam made a "wax museum" sort of using 7 of the MADMA characters. Seriously! 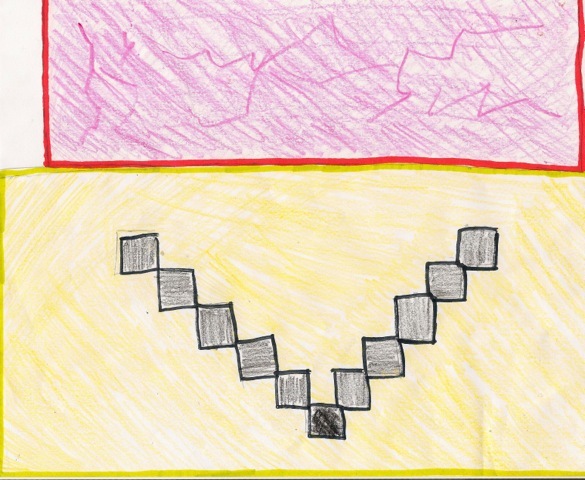 Zee e-mailed some totally awesome 'avatar' art! Check THIS out! wolflover18roblox made a huge statue of Mary! Bryce made an awesome pic of both Mary and Dad! 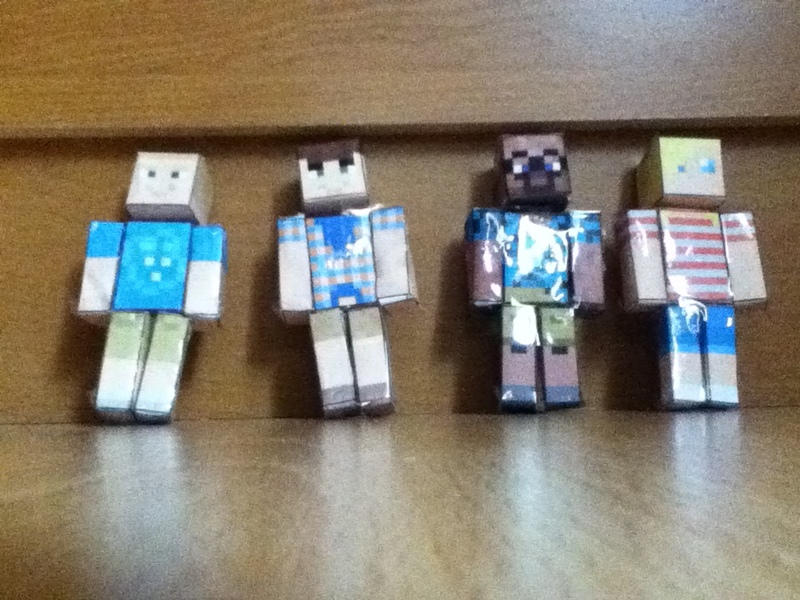 Mr. Ender gave us papercraft dolls for the cast!!! Thanks! Click the keys you normally do to save an image. 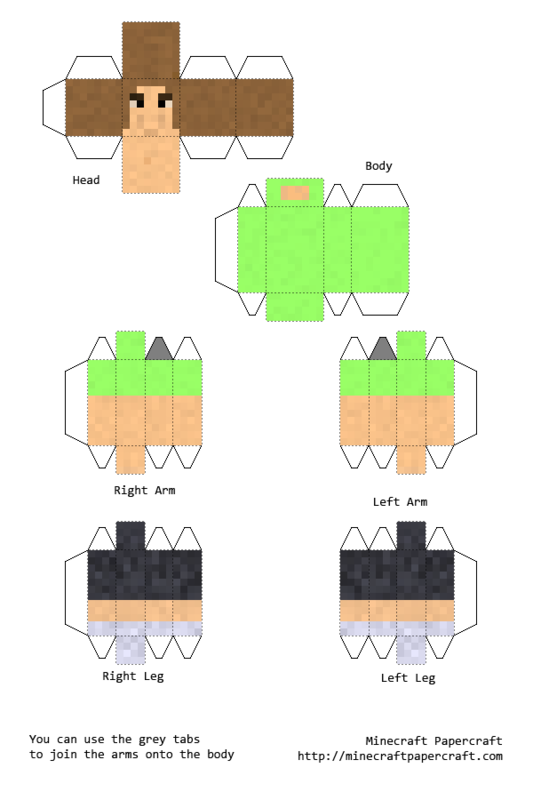 Once saved, you can print these out! ww0004 blew up our friggin' house! Woah!!! Nooooooo! it was real and it has a bunch of dislikes!!!! Tori created an image of Mary and herself! 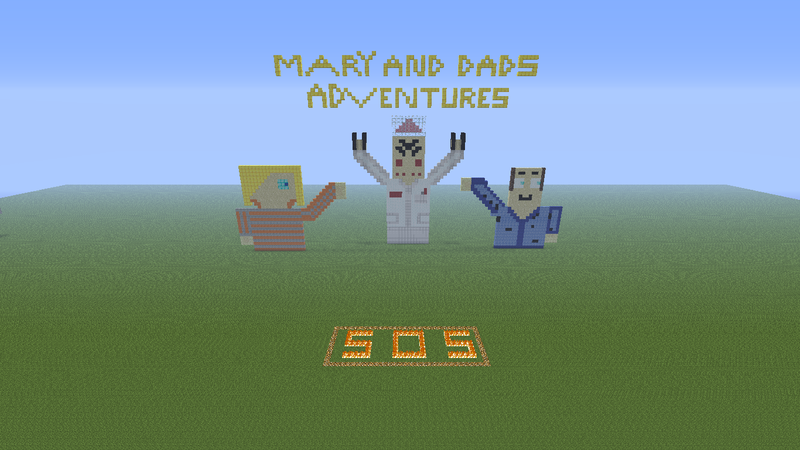 Ryan made us a pic of Mary, Dad and mean old Evil Genus. Mary's friend Hannah made us this image! 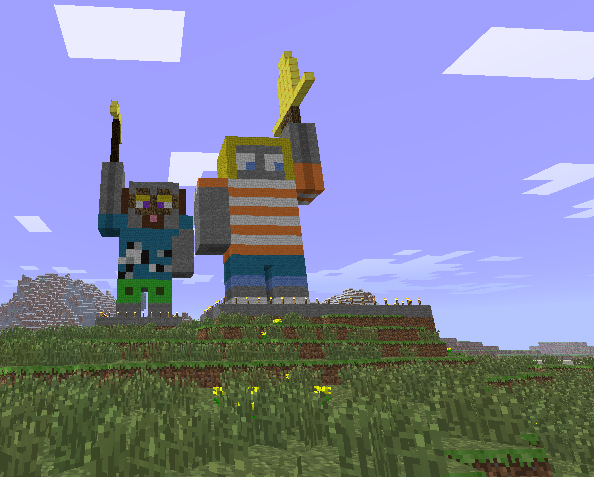 Halosins18 from YouTube made a statue of Missyfenstrider and GNBen! 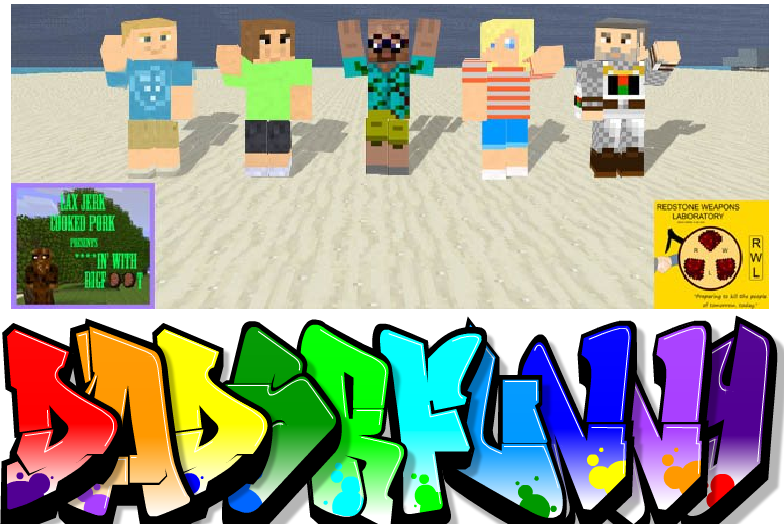 Braedan made an awesome banner for us! Check it out! Bobmanmen5000 made a great vid showcasing MADMA images and tracks from the site! 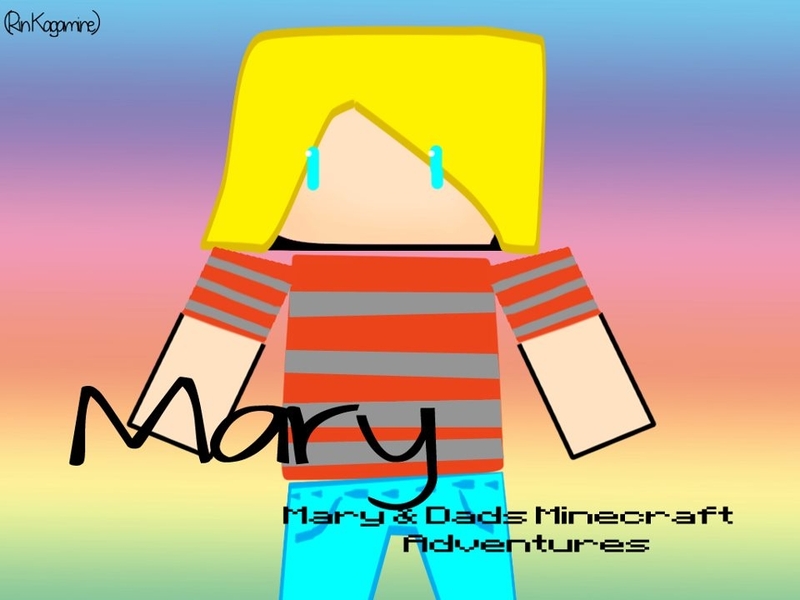 francinerulienejadep from YouTube drew an awesome picture of Mary! 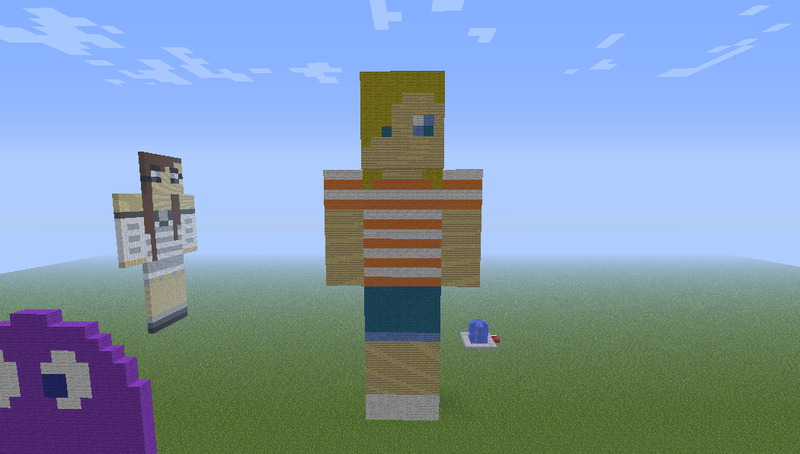 TheMinecraftyGal from YouTube made a statue of Mary. Check it out! Moorao from YouTube made a statue of Mary and Dad and then...well, watch and find out! 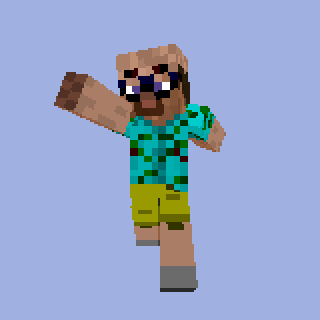 BlackChouji from YouTube sent us a link to a map and a texture pack based on the Space 1999 Mothership. 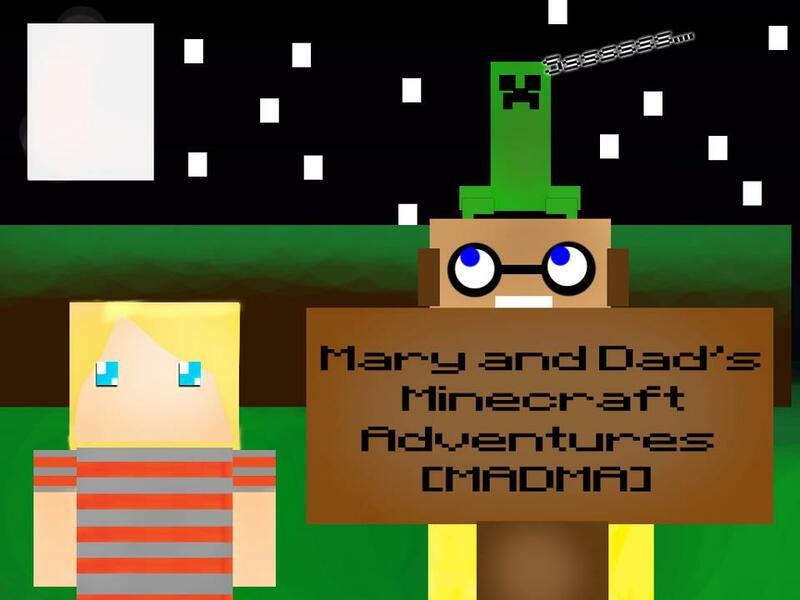 francinerulienejadep from YouTube drew an awesome picture of both Mary and Dad--and watch out for that creeper!!! marioluigi984 from YouTube made some cool art INSIDE a video!!! How cool is that? SoraKHNB, MADMA's first Wellington, (if you have to ask you aren't a fan!) 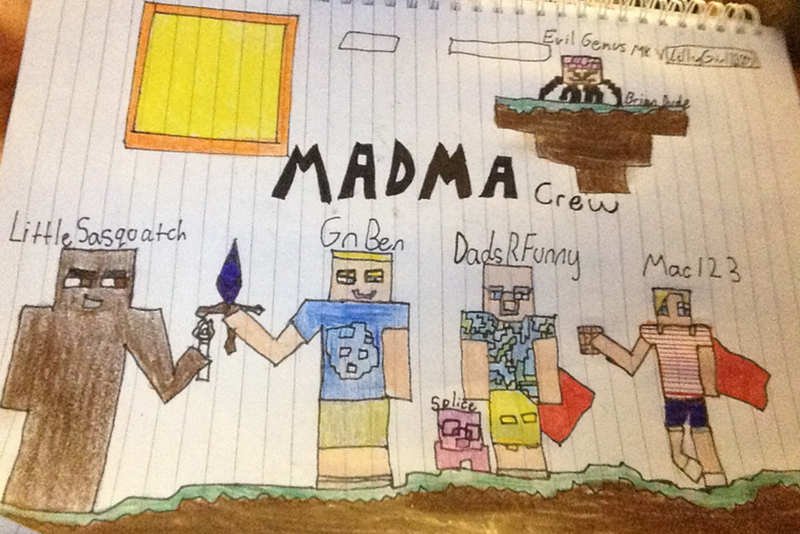 made this super awesome pic of the MADMA crew! Left to right you have Good Neighbor Ben, Missyfenstrider, Dave(aka Dad), Mary and Kozimandius! Lasong2000 made a boss statue of Mary with a HOUSE INSIDE!!! Bubbyberry gave a shoutout to the whole crew! WOW! 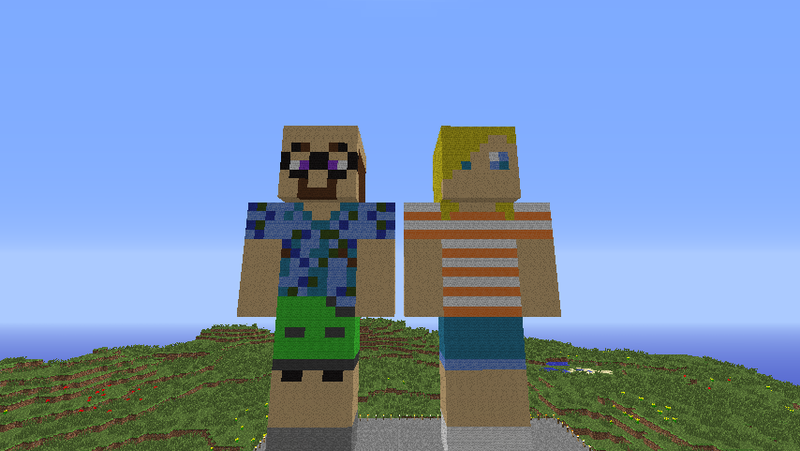 kairi457 made a STATUE of both Mary and Dad! 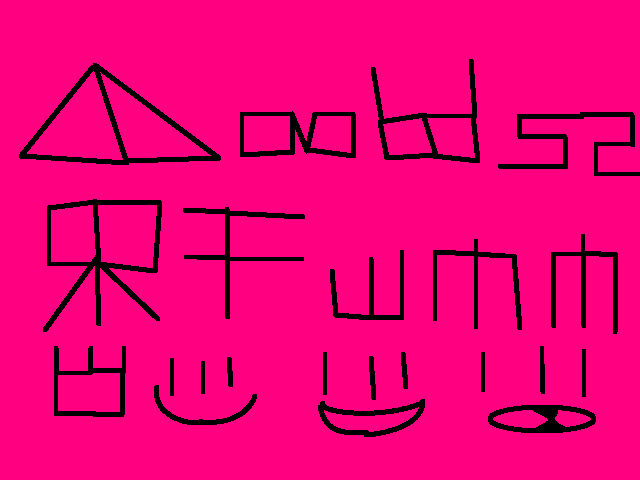 Runemaster4x was kind enough to make a rockin' MADMA banner and post it online. Thanks! 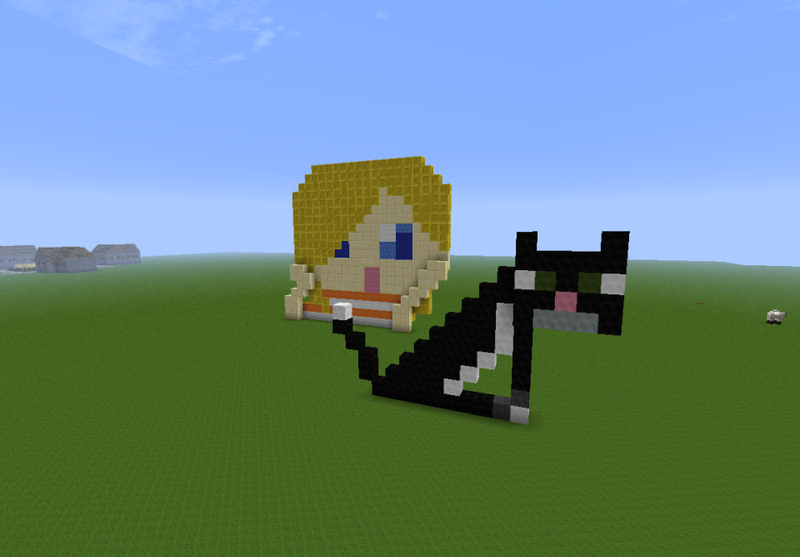 or better yet mail us fan art we can use in a video featuring--you! We have stopped answering these questions, mainly due to the fact that it gives us much more time to answer less-frequently-asked questions, which tend to be more fun to answer. MADMA has a temporary server that is only run while filming. 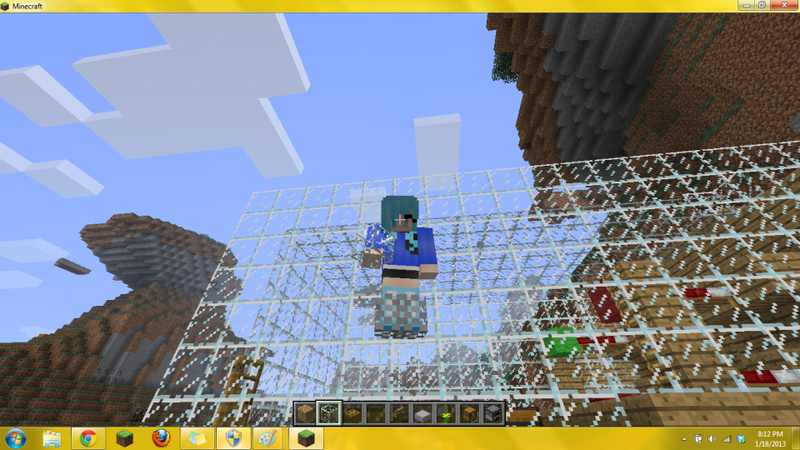 Since just about everything is build while we record, we have to keep the world safe between episodes. Can you post (fill in a large number here) episodes per week? No. We don't have the time to make more than one new episode per week. We wish we could, but life has other demands. Can you make the episodes (fill in a large number here) minutes/hours long? No. 15-18 minutes is about as long as we can make them. And we'd rather cut one off at 14.5 mins at a "good point" rather than let it go 2 mins longer. Sometimes it works out that we have 17 minute episodes, sometimes 13, but they usually wind up either 14 or 15 minutes long. 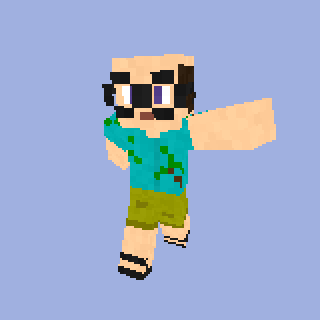 Can you join my server? No. We get too many requests for this to be feasible. 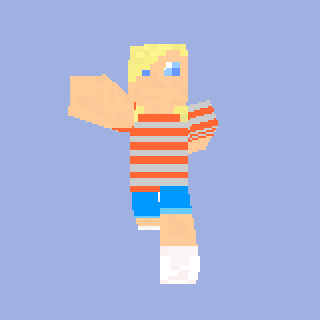 Do you have a fan server? Yes, more than one. 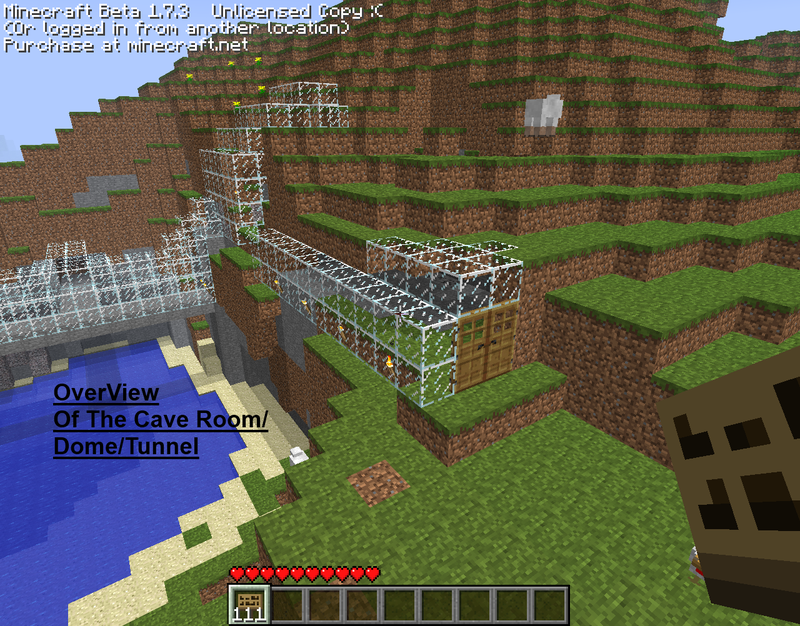 Click the "fan servers" tab above for more info. 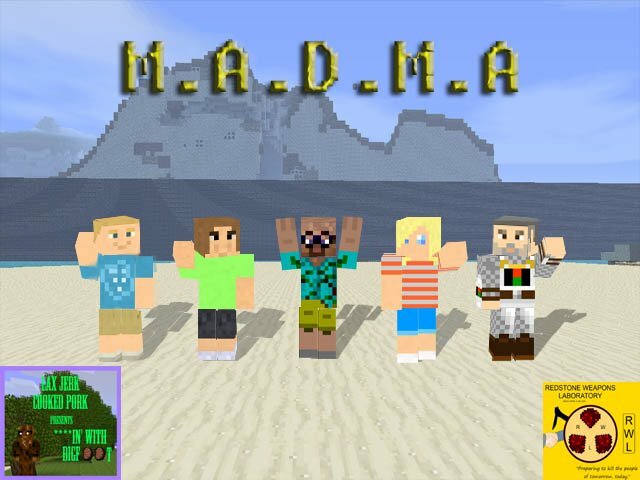 Can I be in a MADMA episode? No. Filming a MADMA episode is far more complicated than it looks. (Sorry!) 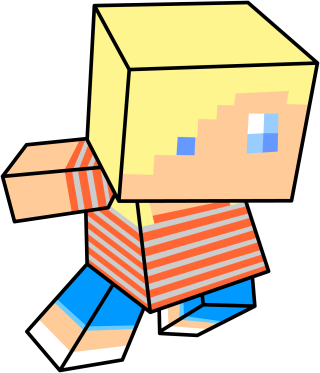 BUT--if we film a dream sequence or some other odd scene on a fan server with extras, then sure, if you happen to be on, you can be in that, if/when they occur. Are you on facebook, twitter, tumblr? Usually, the latest release. Sometimes we use snapshots as well. Does Mary have a mom? 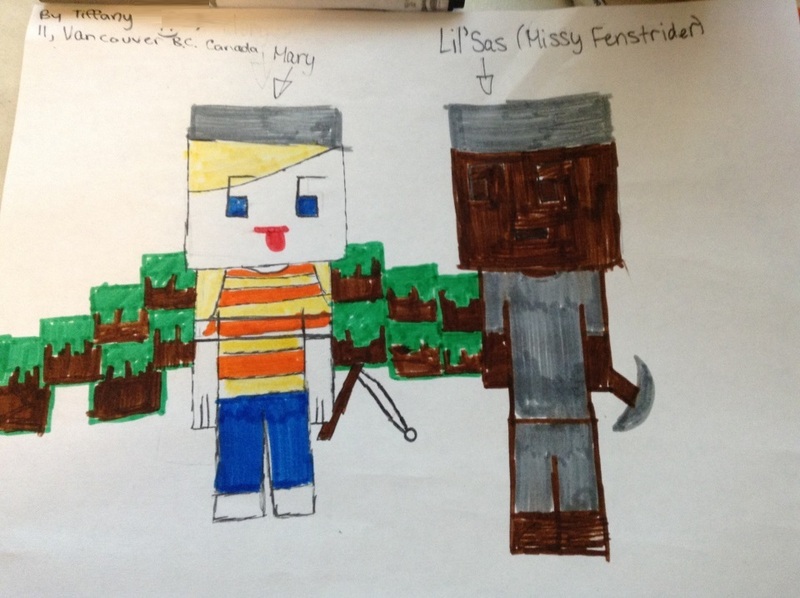 Missyfenstrider (on youtube) who is also Mary's older sister. She is also our channel artist. Koz (aka Chris) is Dave's friend. 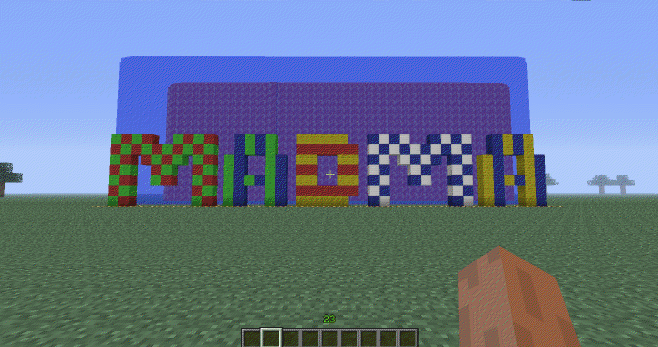 He loves minecraft like we do. He has played various bits in previous short films and provide set design help as well. He's a cool bro. How did Mary/Dad get a cape? 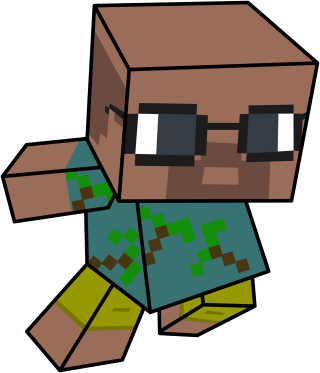 By attending Minecon in 2011. I was on one of your fan servers and got banned. Can you unban me? Nope. Sorry, we don't run fan servers. They are run by fans. 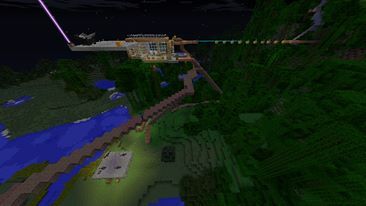 That's why they are called fan servers. Do you play on Xbox/PC/Mac? Mostly PC. Koz uses a Mac. No Xbox here. How did you make Sasquatch's communicator in the game? We didn't. It was made to look like an item in our video editing process. Is Mary really your daughter? We don't give out our ages. We can acknowledge that Missy and Ben are approximately the same age. Same for Dave and Koz. Find MADMA and other stuff for sale on cafepress! Click the image below to start shopping in a new window! Want to support the show by donating?